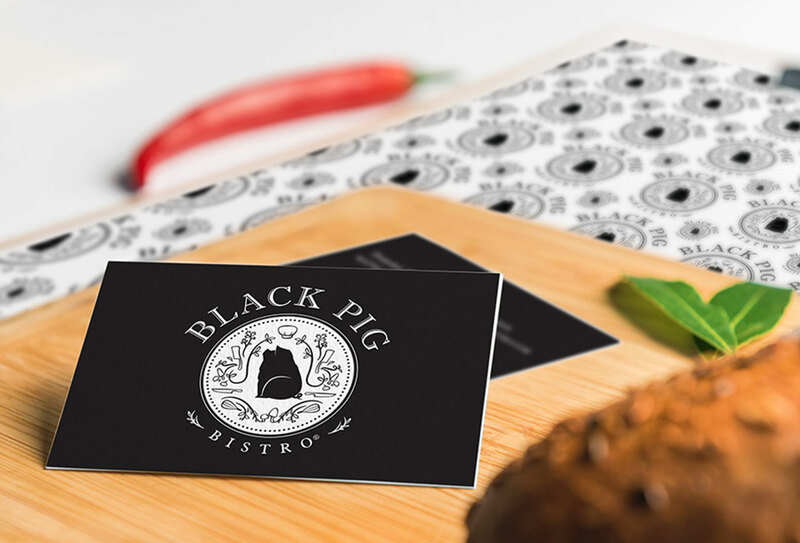 Fence and Post is a new restaurant located in Cochrane, AB. 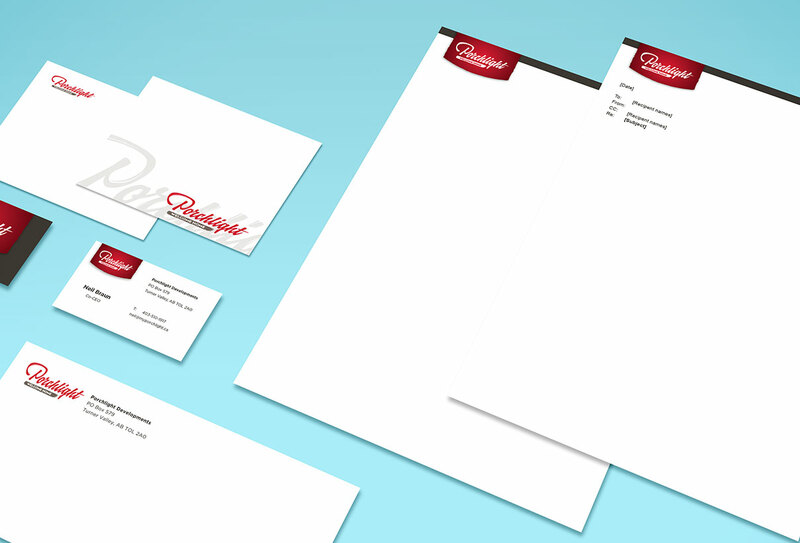 A key feature of this website is the menu page that can be easily updated from the back end by the clients themselves, while keeping the formatting consistent. 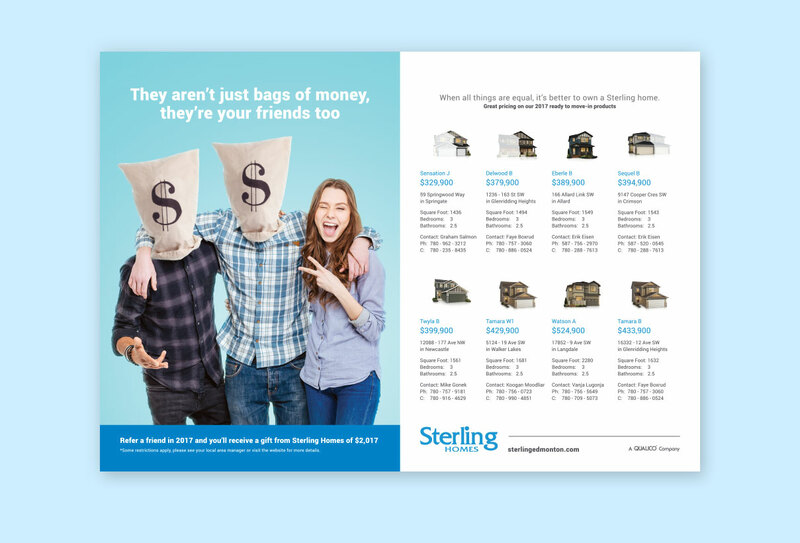 Print and online creative that was designed to promote the amazing value of Sterling Home’s new specifications. 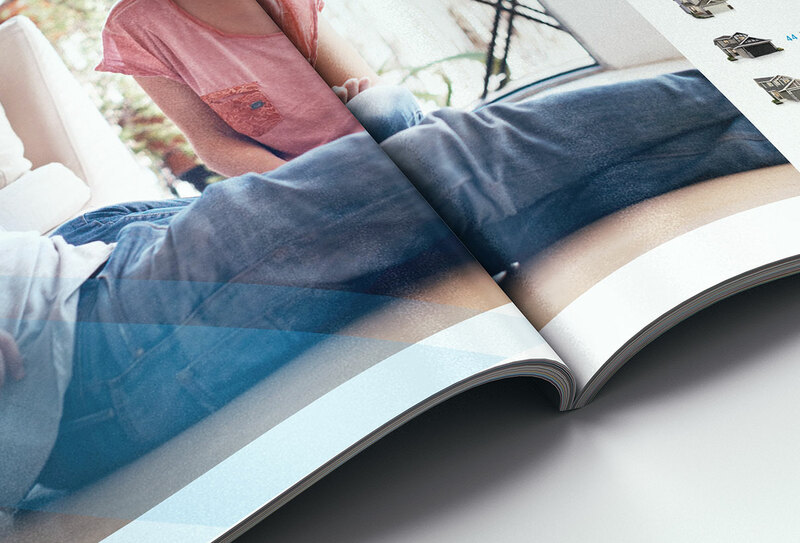 Bus Bench creative for the Regina condo project, Glass House. 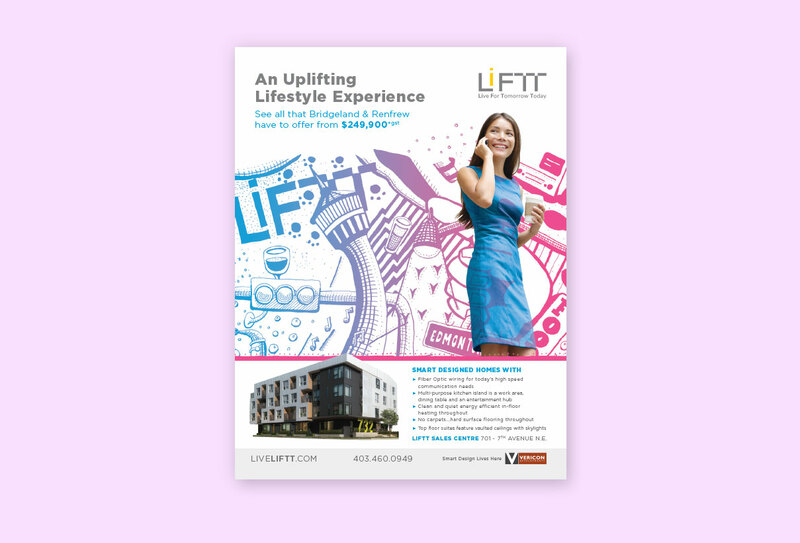 Online ad creative to promote an interior specification promotion for the townhome and condo project, Unison. 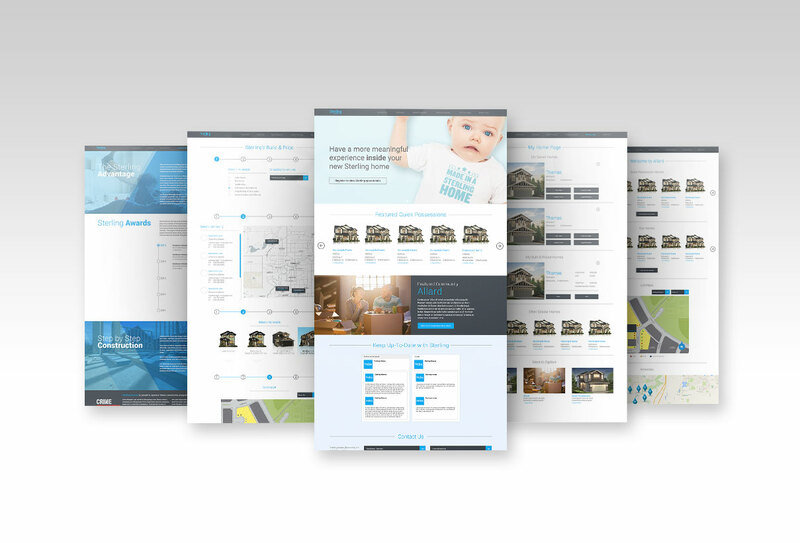 The Glass House website was designed to enhance the user experience, and more efficiently generate quality leads. 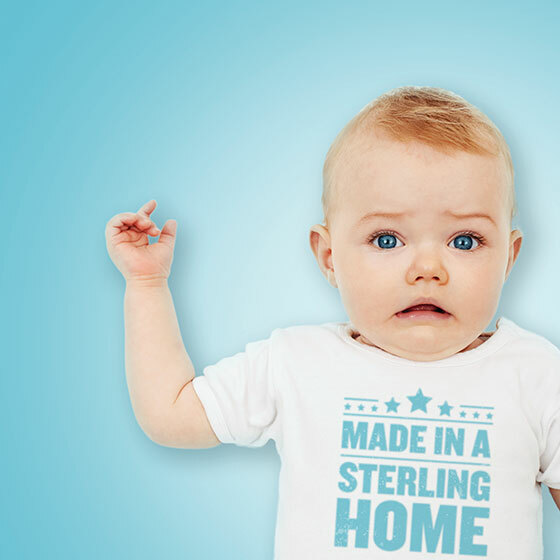 Online creative to promote the value of Sterling Homes. 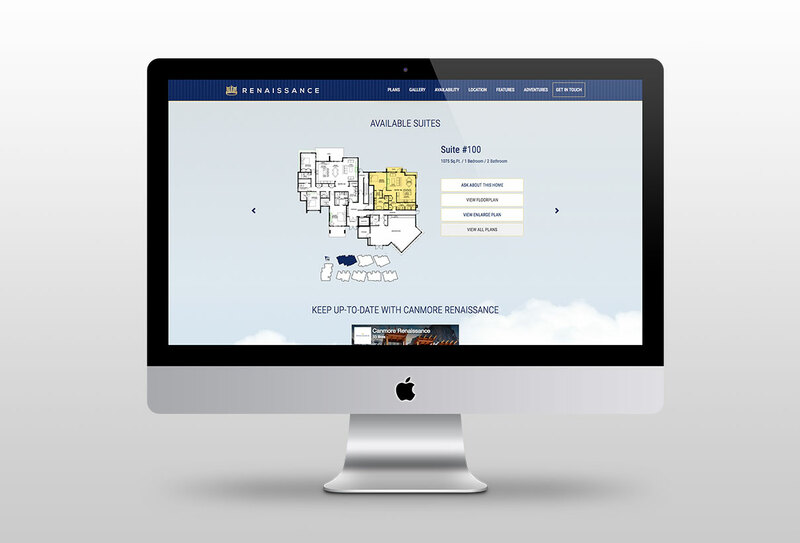 The Parliament Rentals website is new evolution in rental projects websites. 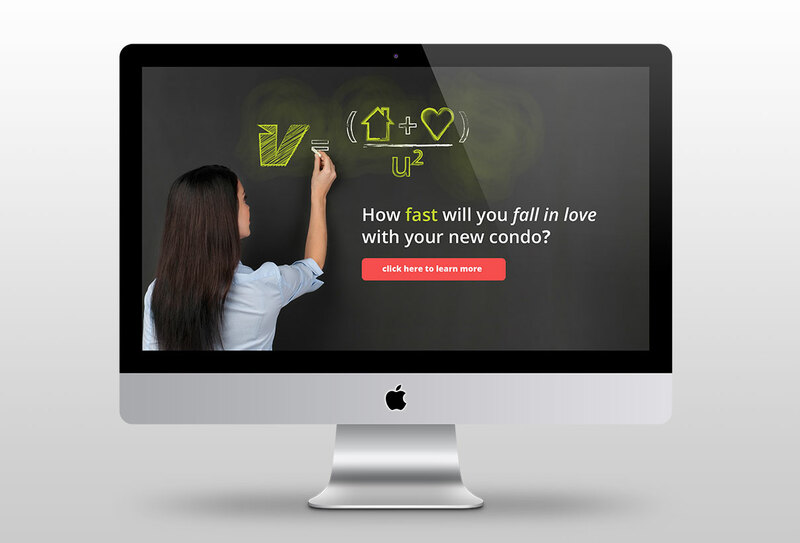 It took some great ideas from condo websites, but was tweaked to fit the rental industry. 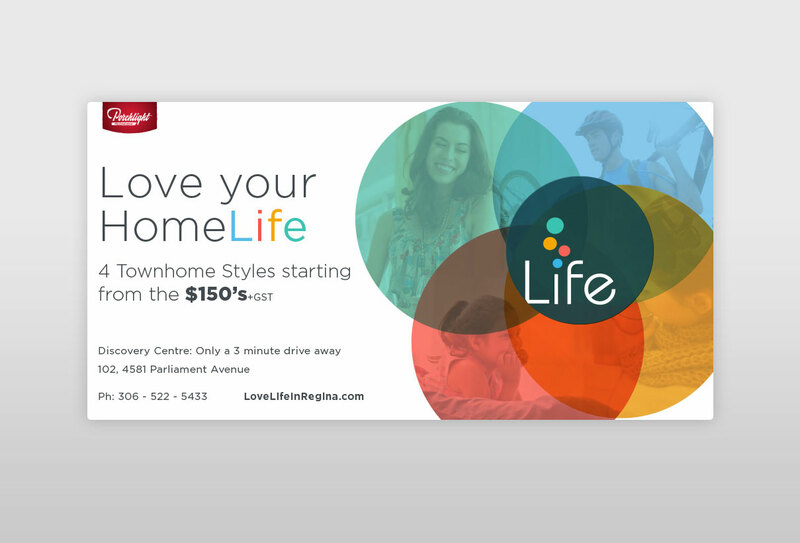 A direct mail piece designed for a family friendly spring event for a NW Calgary estate developer. 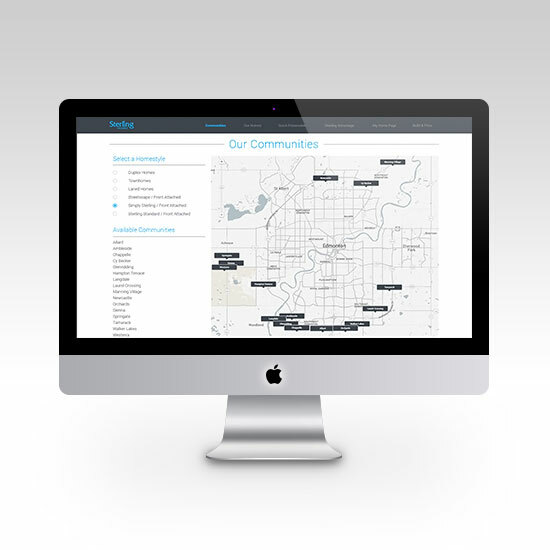 A single family home builder website designed for Park Royal Homes. 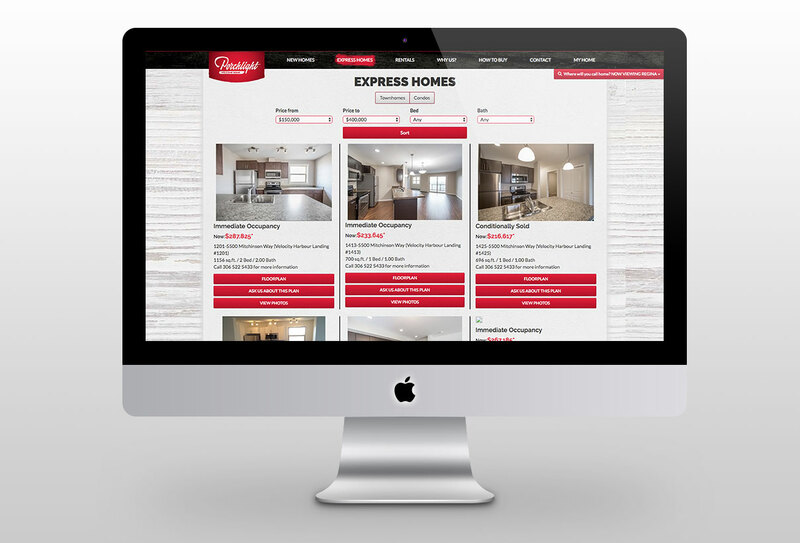 The website focuses on a user-friendly experience to make purchasing a home easier. 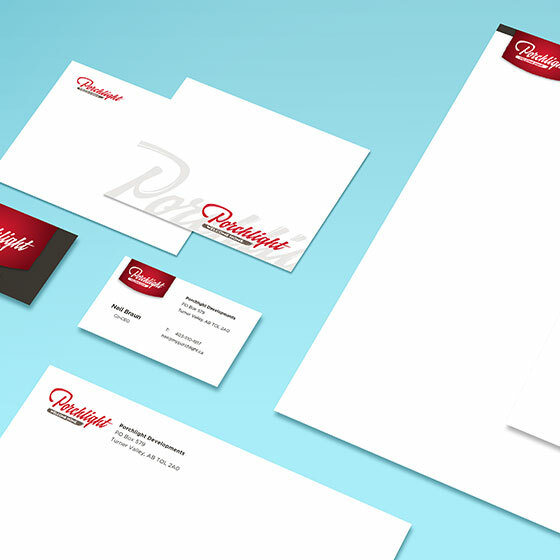 The Glasshouse logo was designed for the new Glasshouse condos in Regina emphasizing the glass facade to the building. 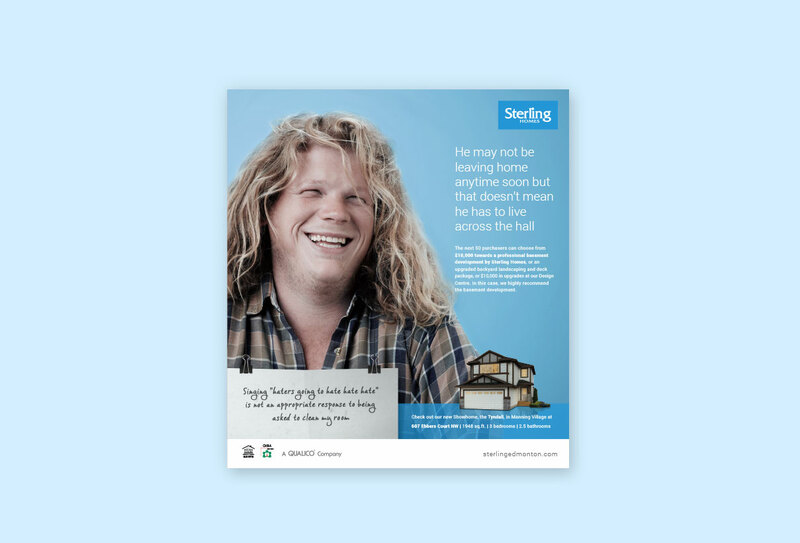 The print ad was designed to promote a free garage focusing on the benefits of having a garage versus not having one. 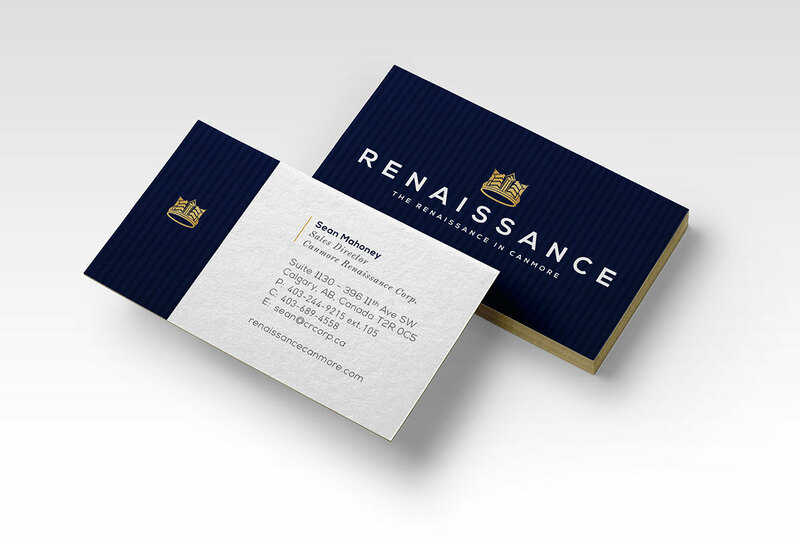 Identity and business cards created for a new restaurant in Cochrane, AB. 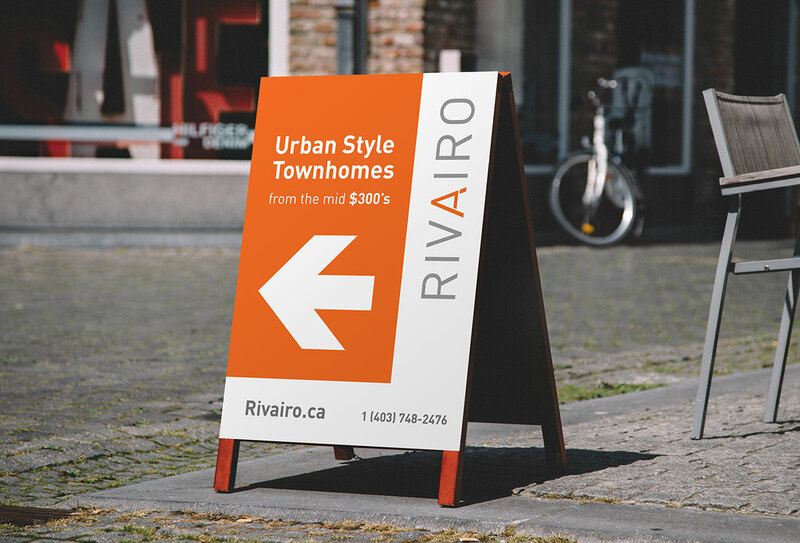 A set of outdoor directional sandwich signs for a NW Calgary estate developer. 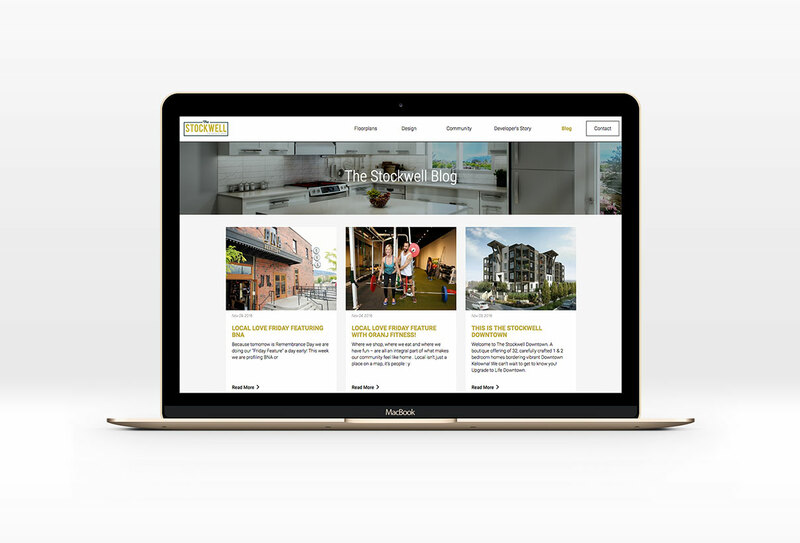 A website update to an existing condo website to change the availability page to a listings page of remaining units to simplify searching for a condo. 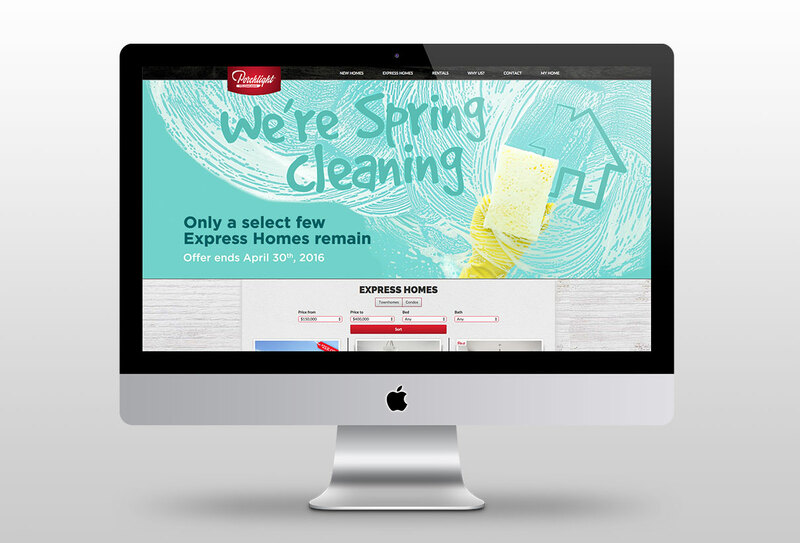 Online ads designed to speak to different segmented audiences and focussing on a different value proposition for each. 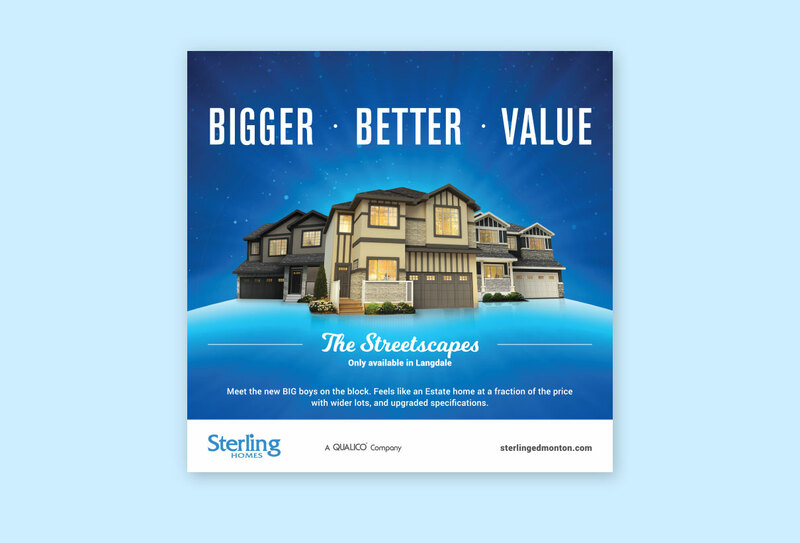 A print ad creative that highlights a new product category “The Streetscapes” for Sterling Homes. 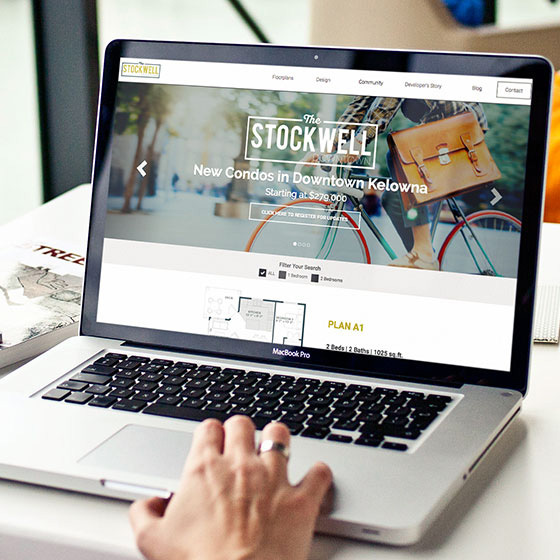 A campaign series developed to focus on the product, features, and lifestyle that the project offers to purchasers. 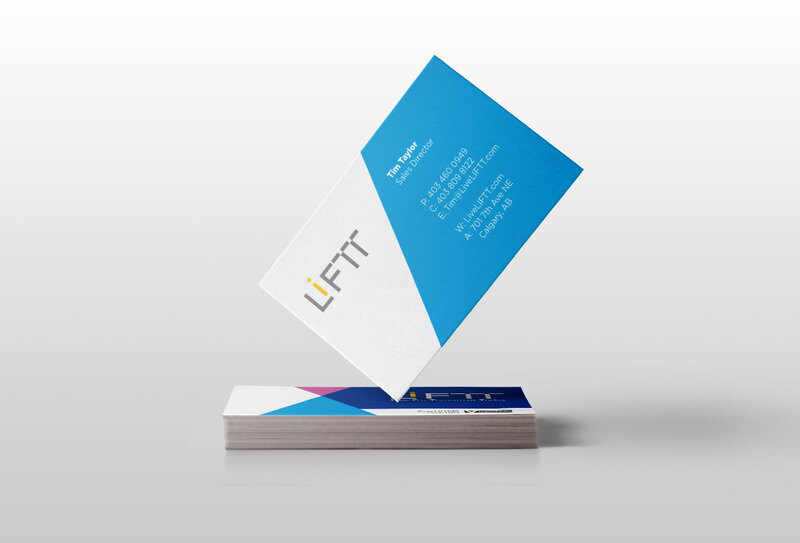 Referrals are all about letting your friends make you money. 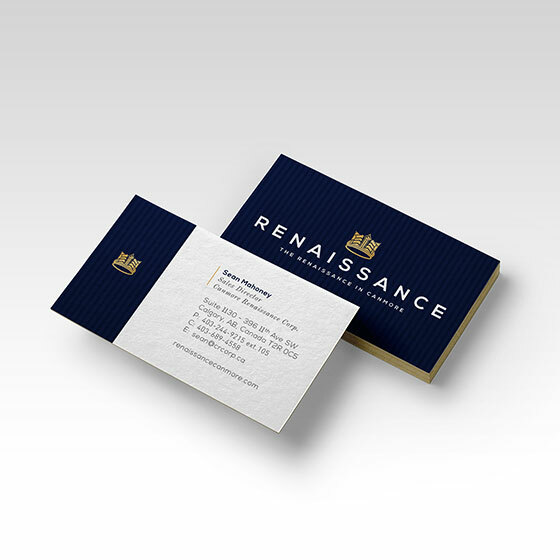 Our creative series was developed around the idea that your friends can make you richer. 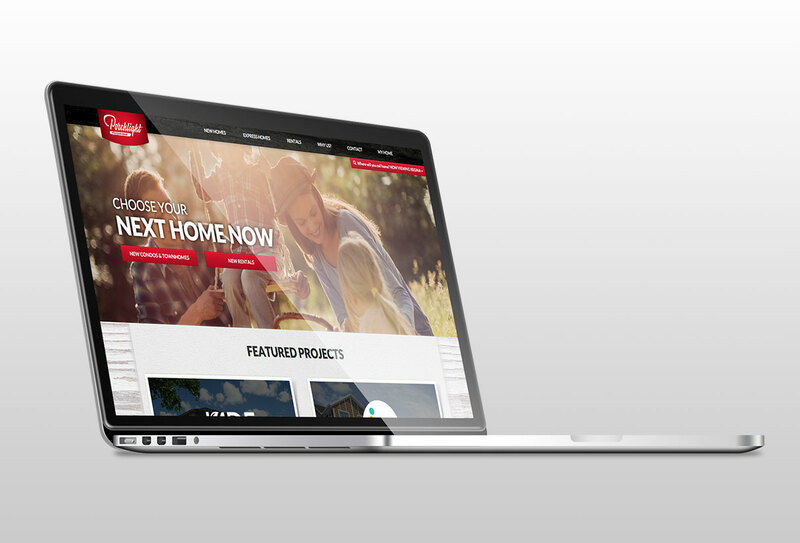 A website landing page designed to celebrate the holidays and give customers an interactive experience in their home buying process. 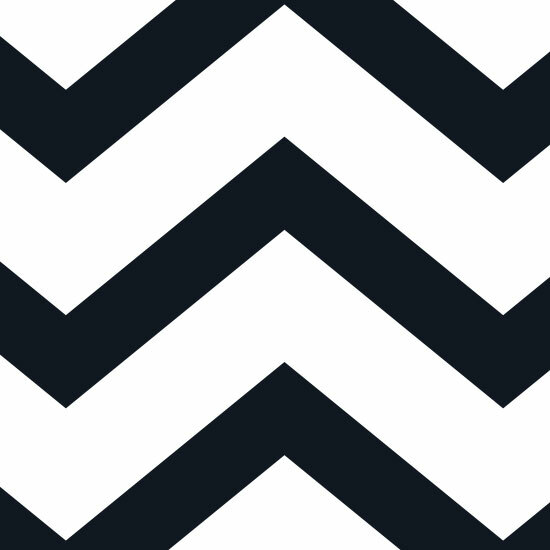 Each day a new video was revealed. 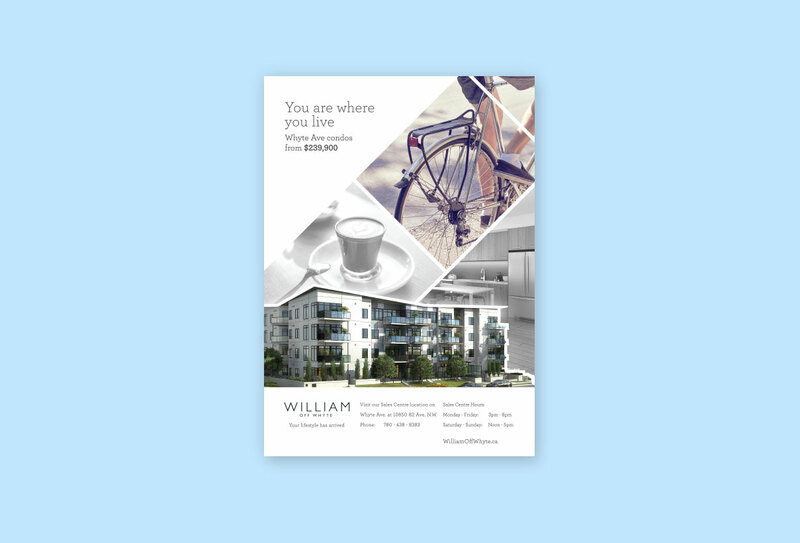 A Christmas themed e-mail advertisement to highlight available immediate possession condos right in time for the holidays. 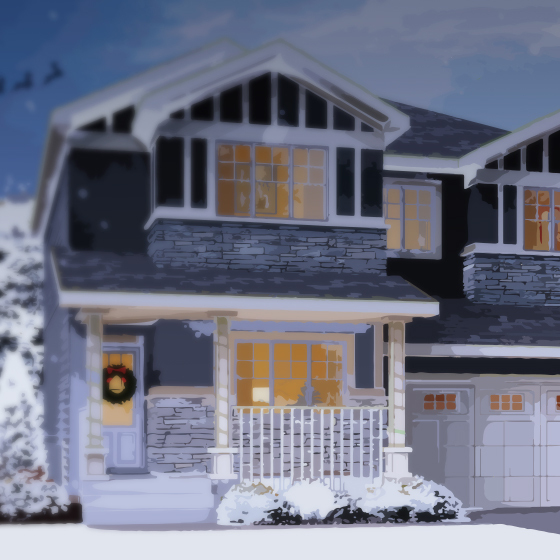 A holiday update to emphasize a free upgrade promotion for Edmonton home buyers. 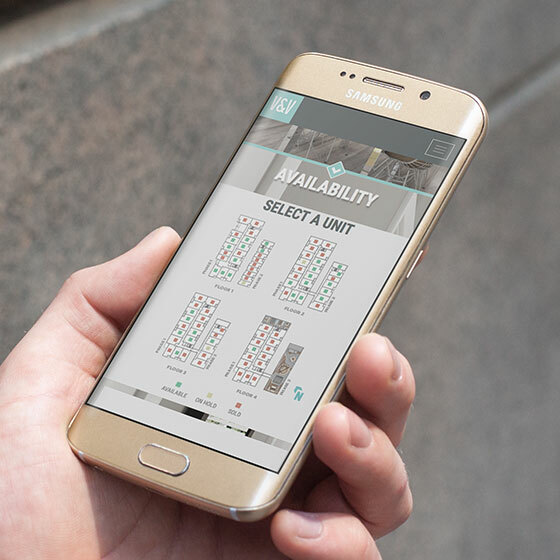 Festive holiday candy cane tags developed to infuse the holiday spirit into our sales centre. 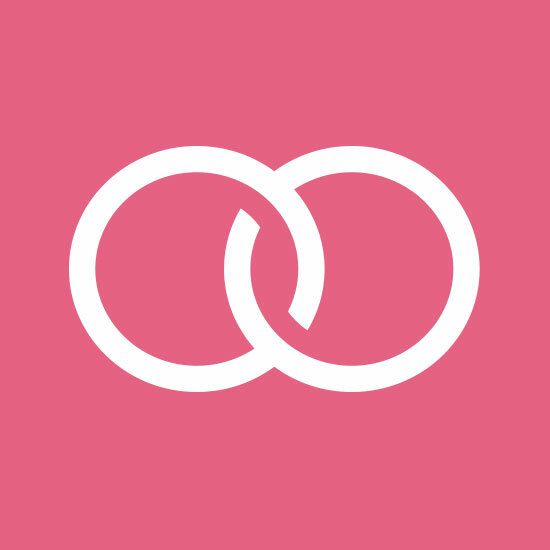 A VIP referral program designed for the customer who just wants to invite all their friends to live next to them. 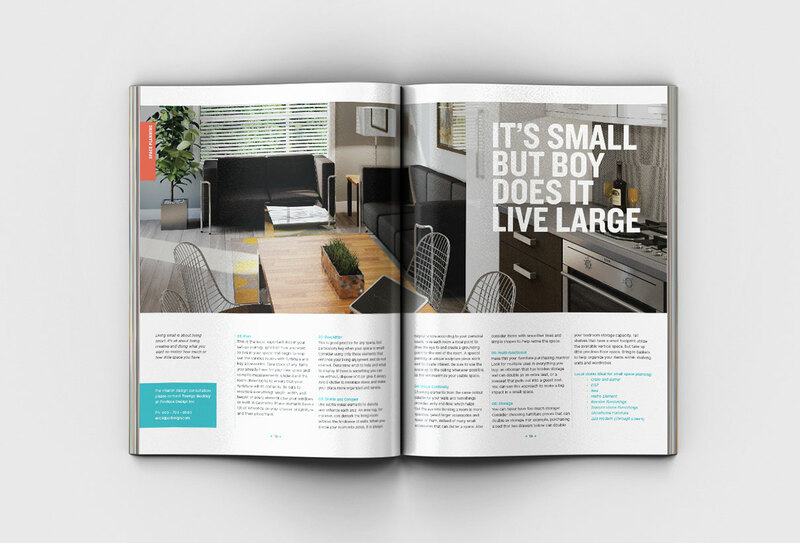 A print ad developed for a downsizer campaign for a condo project. 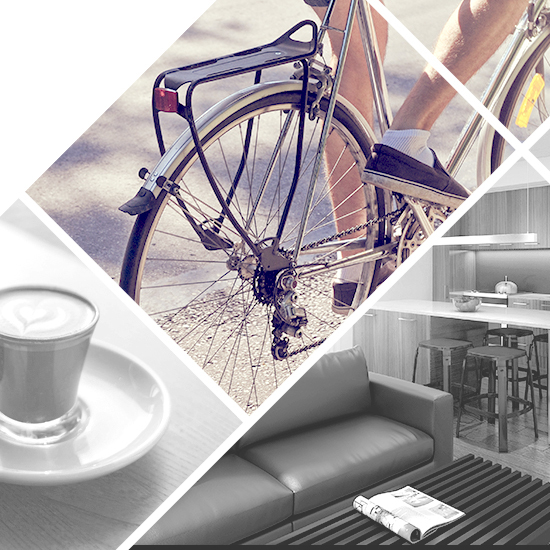 The creative reflects the ideals of a maintenance free lifestyle and home. 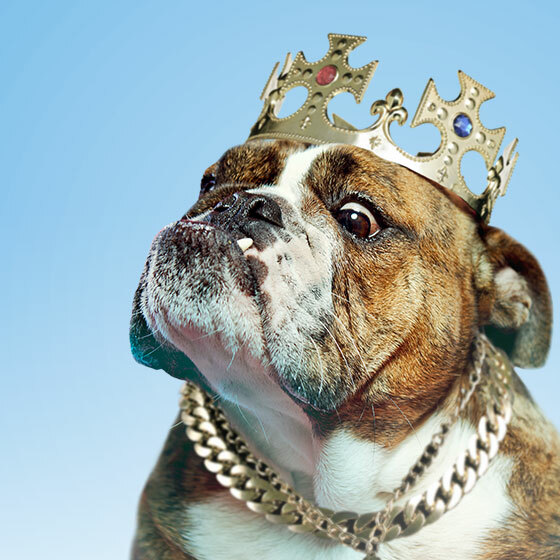 Have your cake and eat it too. 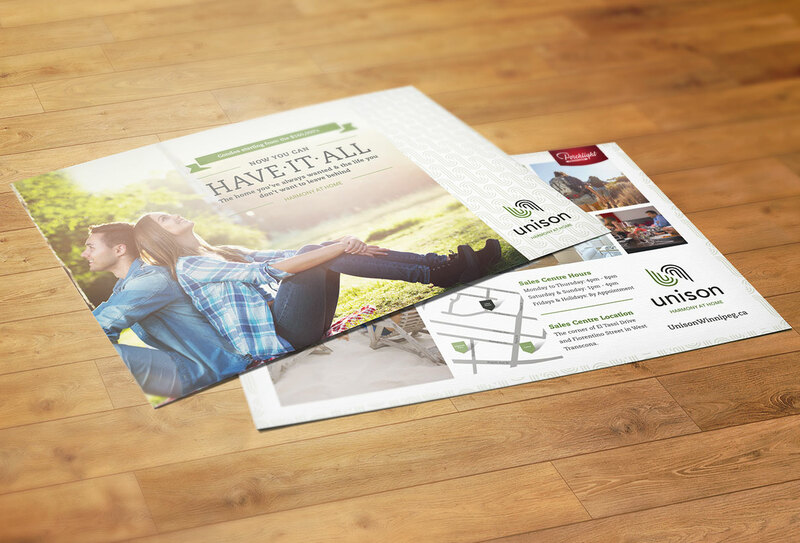 That was the concept behind our “Have It All” campaign designed to show how you can own a home and still have everything else you want. 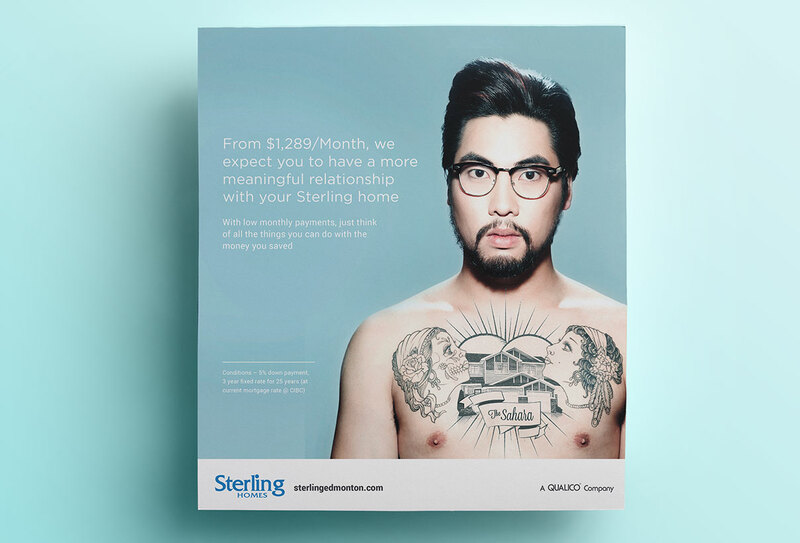 A print advertisement designed to highlight the lifestyle one can experience by living off Whyte Ave in Edmonton. 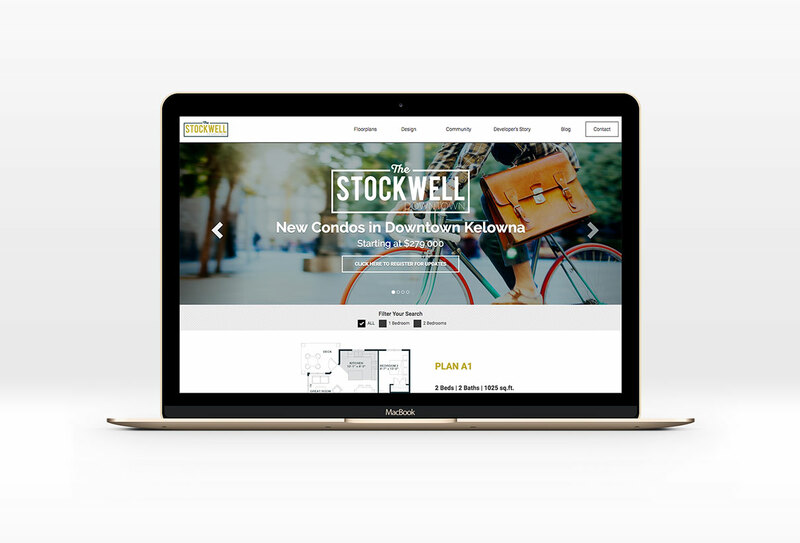 A full condo website designed for The Stockwell Kelowna Condos. 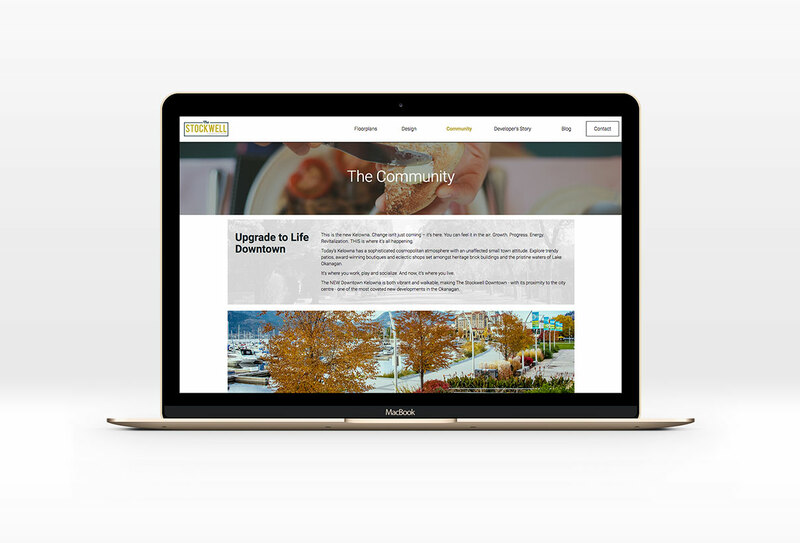 The website features a mix of condo product and community focused amenities showing the benefits of living in Kelowna. 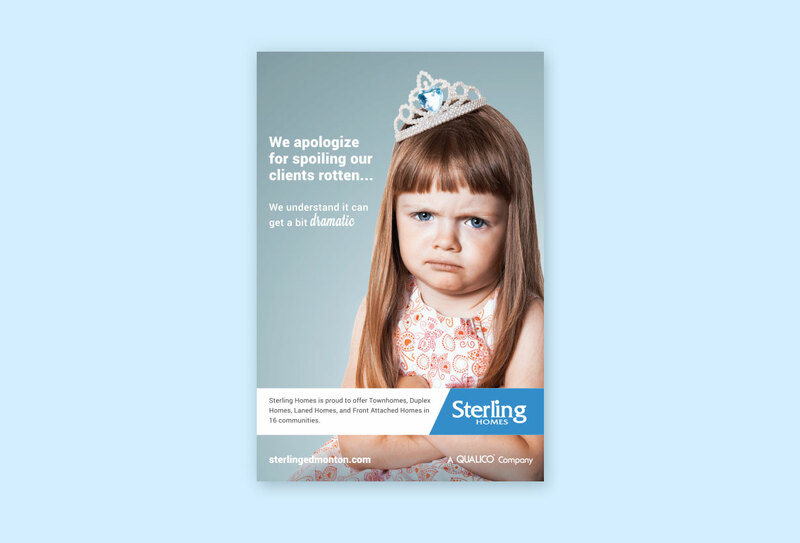 Print ad series developed to highlight the idea that Sterling Homes spoils their customers by giving them everything they want. 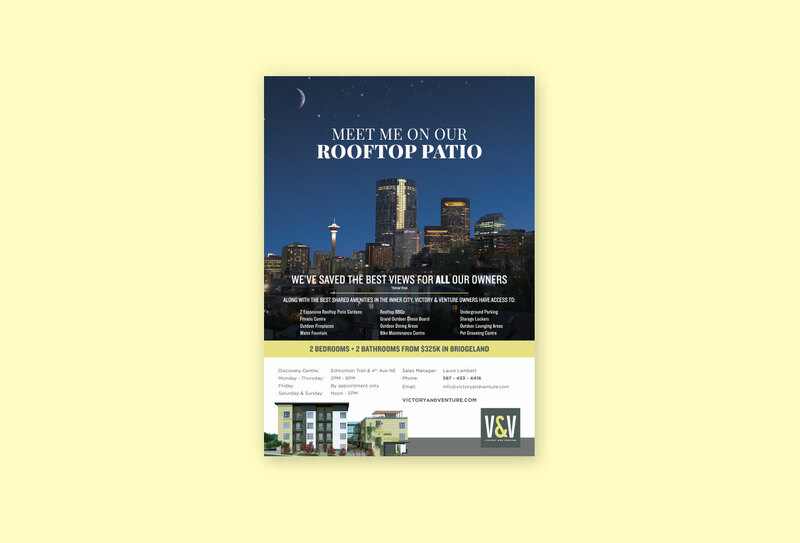 An advertising piece was designed to highlight the rooftop patio views from the Victory & Venture condo building. 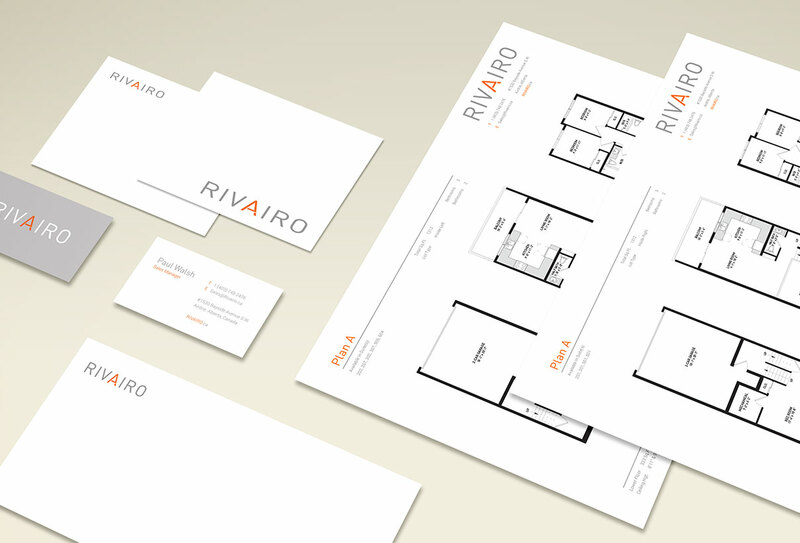 Developed a brand concept and logo for a new modern and stylish condo development right off Whyte Ave in Edmonton. 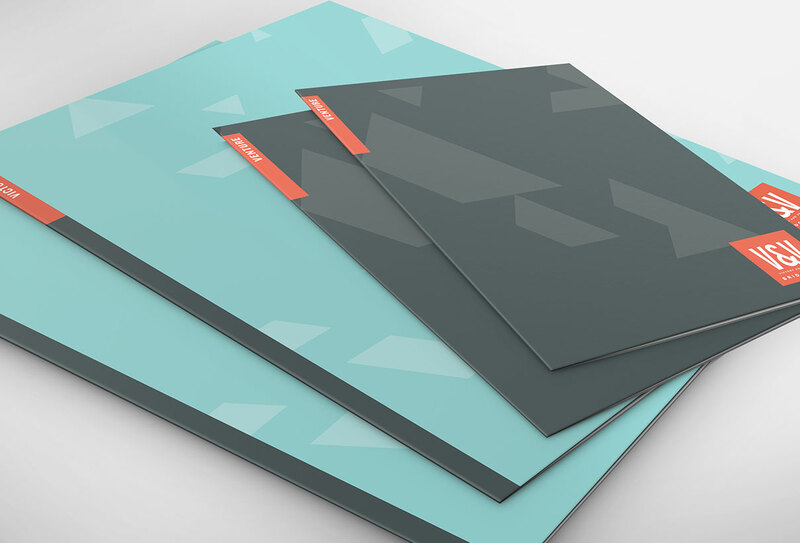 We set out to create a piece that would really deliver on the idea of “big savings”. 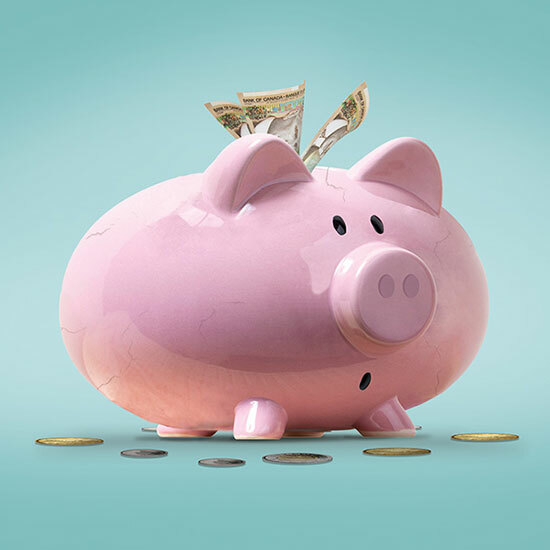 At one point or another we all wished we could save enough to break our piggy bank. 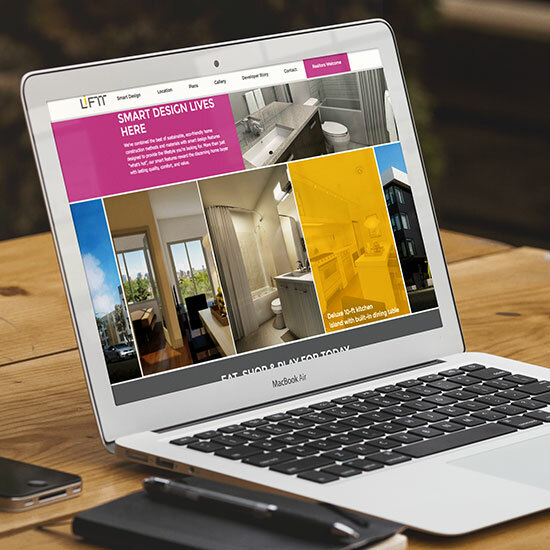 Full website development and website design for a Regina/Winnipeg new home builder who puts the customer at the forefront of the home builder experience. 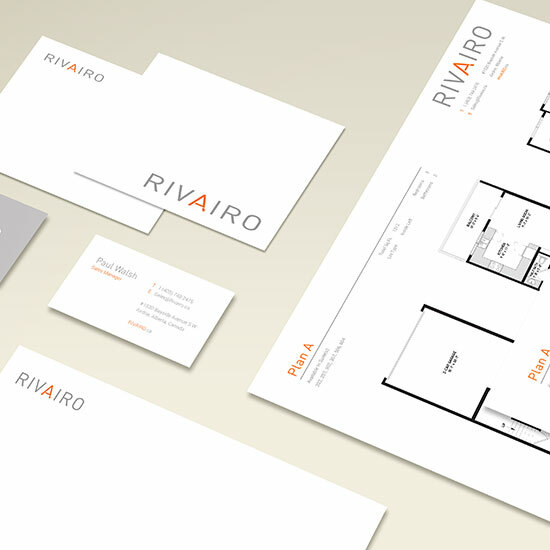 A creative concept developed towards highlighting the memorable experiences one can have in their new home. 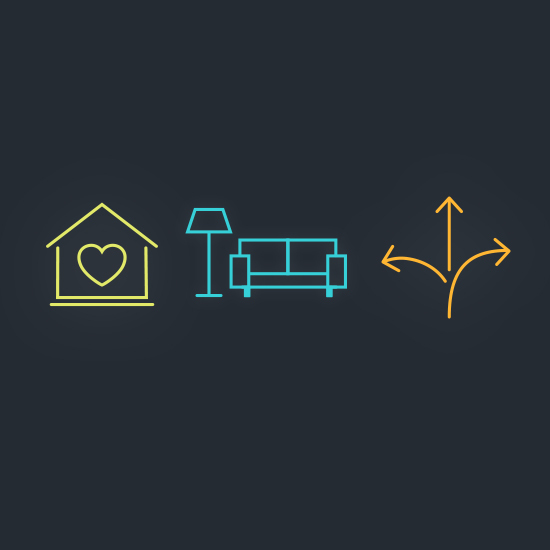 Homeowners should love their homes. 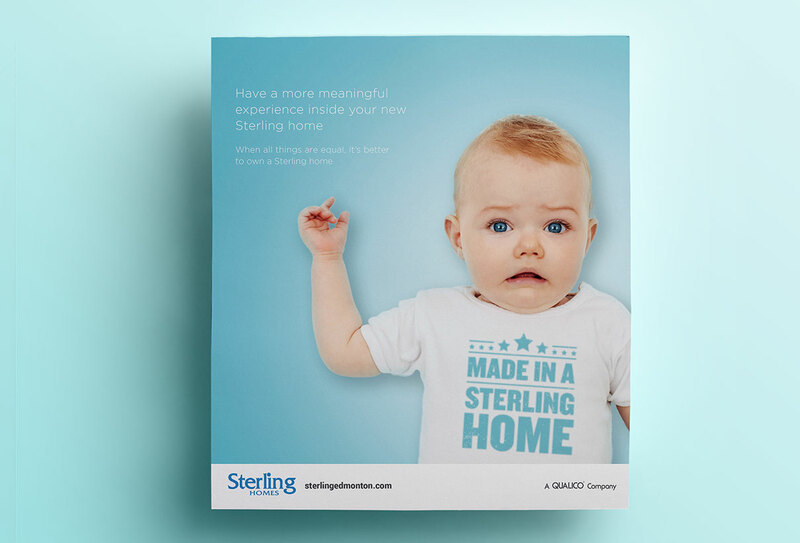 This creative concept was designed to highlight that feeling that Sterling customers have with their new home. 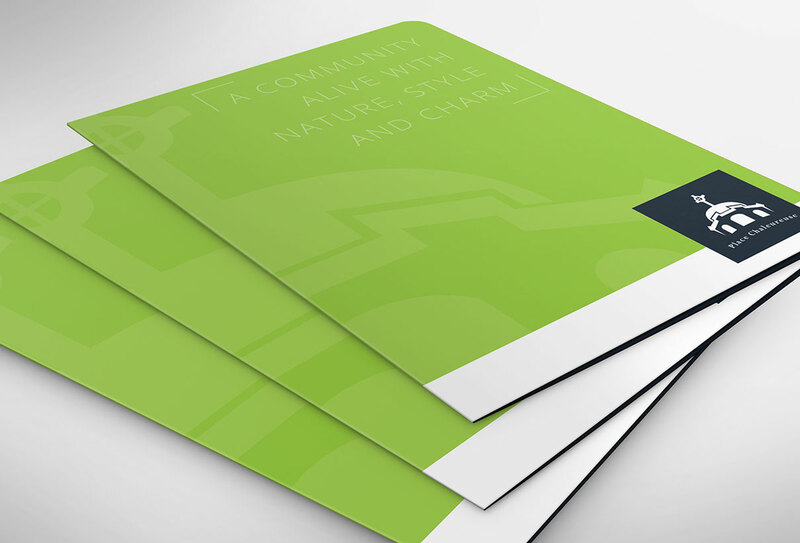 We designed a simple and clean folder that highlights the charm, energy, and nature of Place Chaleureuse, a community of Beaumont. 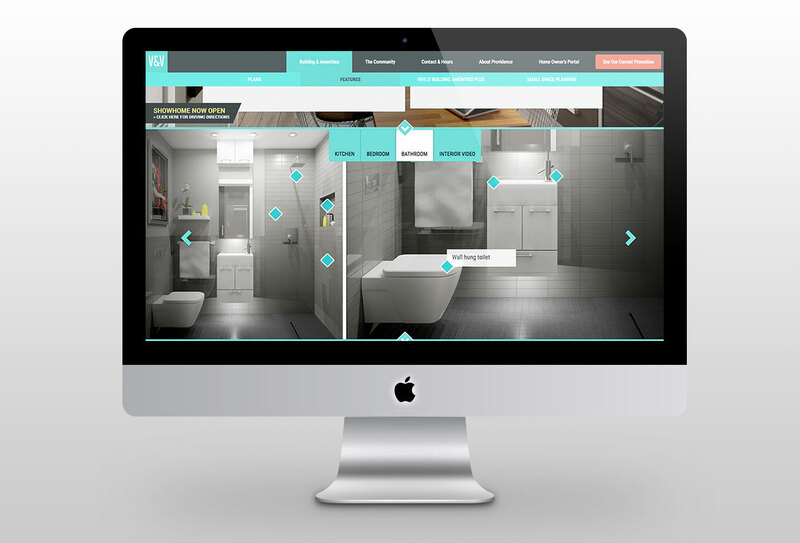 We wanted to showcase the product photos and standard floor plans all organized by category. 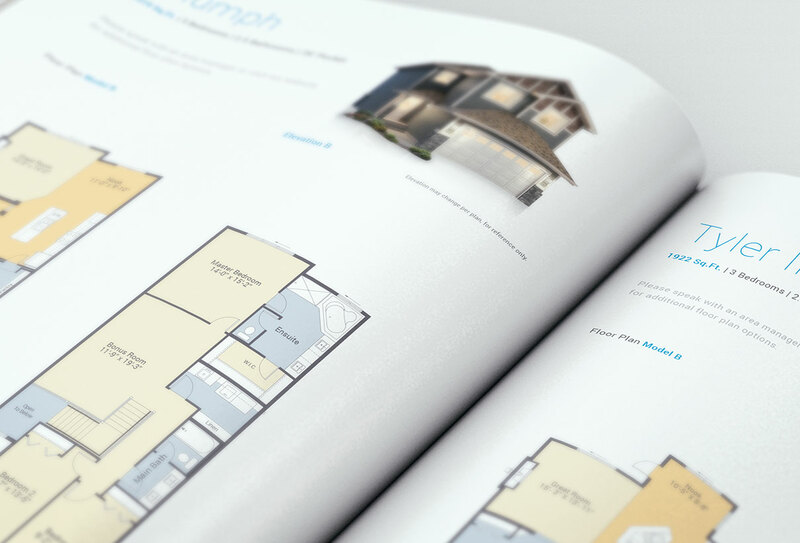 Brochures should be simple, clean, and easy to digest and we designed Sterling Homes Brochure to be just that. 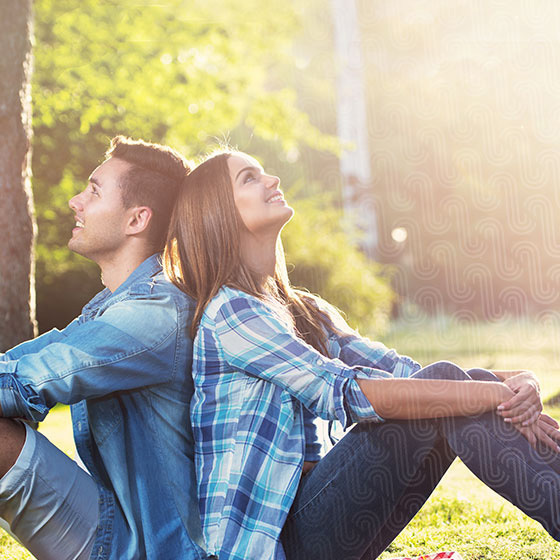 It’s a gathering of everything Sterling Homes has to offer for the different walks of life. 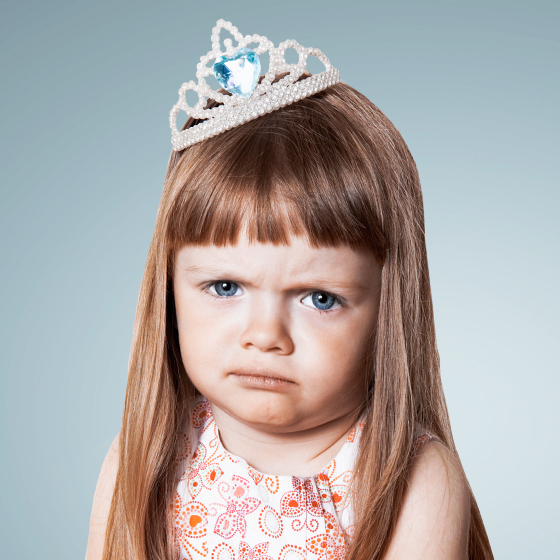 We all know someone who has that family member or friend who just wont leave home any time soon. 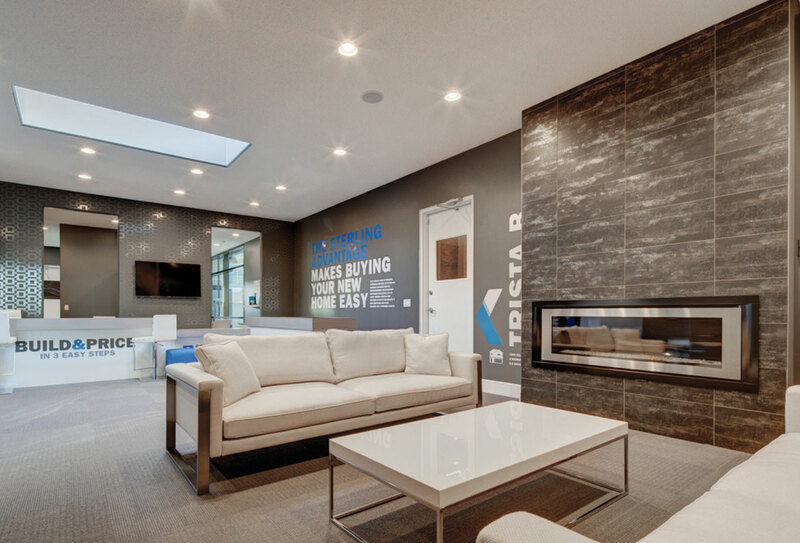 With the $10,000 promo from Sterling Homes we thought it was pretty compelling to have the opportunity to move them into the basement instead of across the hall. 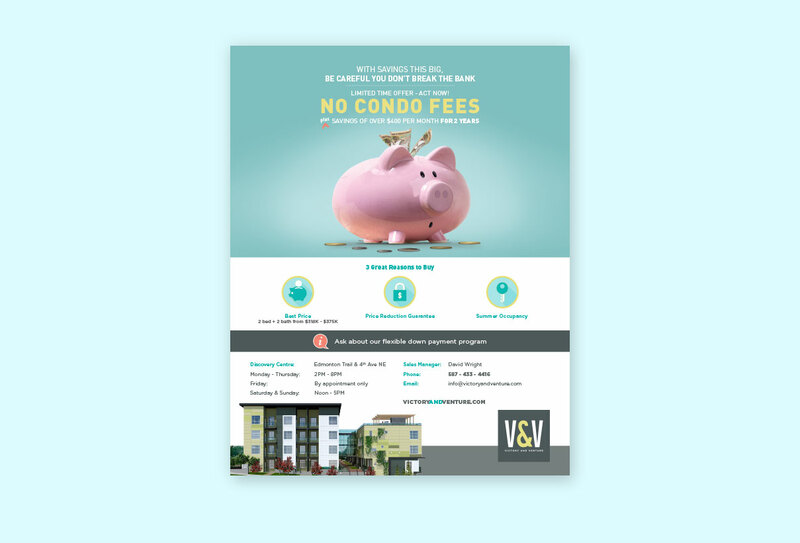 A modern and clean brochure highlighting all the great reasons to live in a Victory & Venture condo. 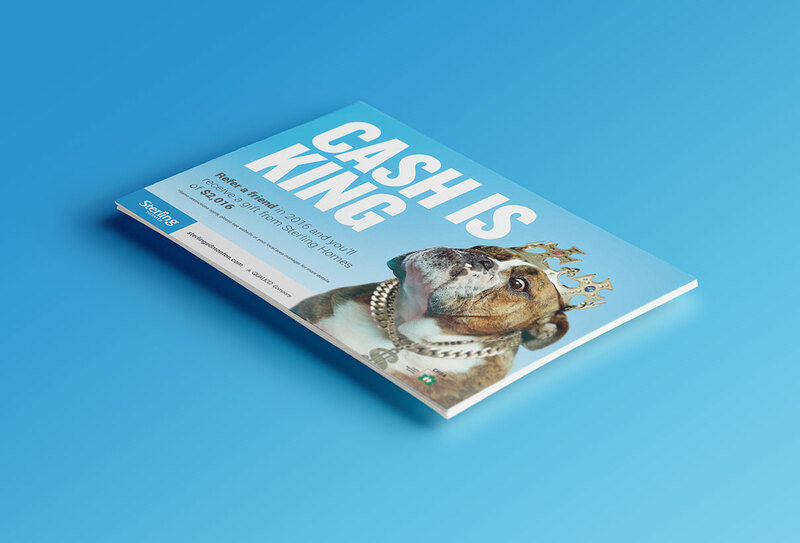 This creative was designed to promote a referral incentive offering cash to those who referred a friend to purchase a new home. 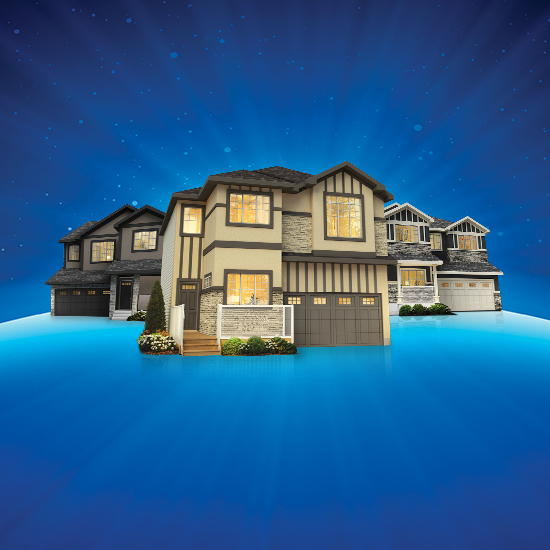 The northwestern community of Five Lakes at Rock Lake Estates in Calgary is an upscale and exclusive estate home community. 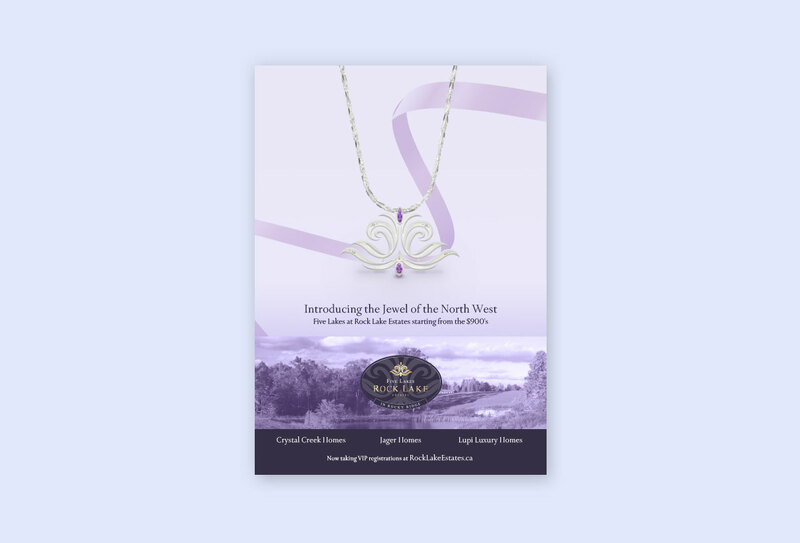 The “Jewel of the Northwest” was created for the exclusive new home owners of this community. 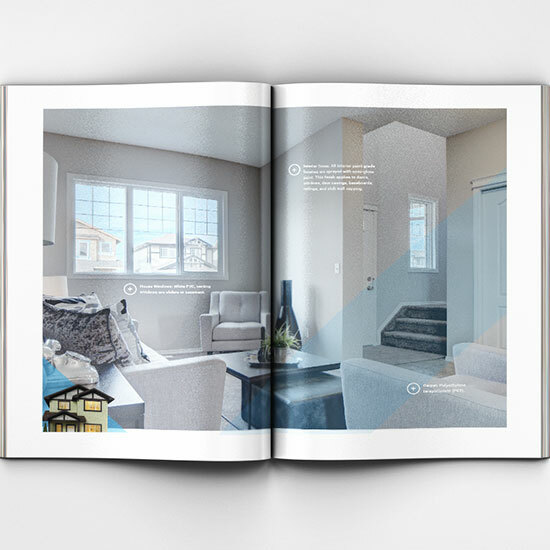 A collection of collaterals ranging from business cards, to brochures, to floor plans for a condo development in Airdrie. 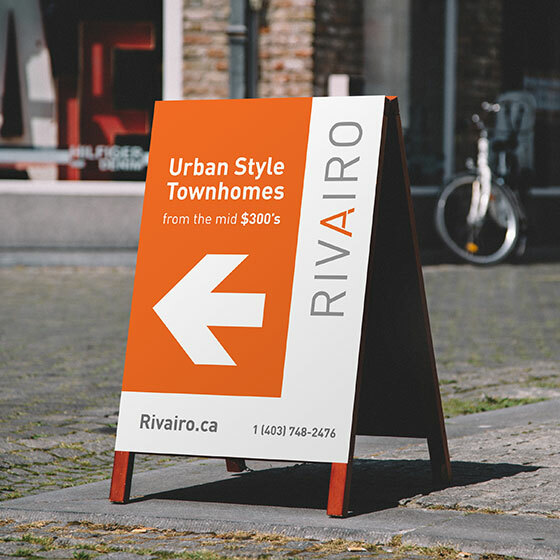 A modern and clean sign for the Rivairo condo project in Airdrie. 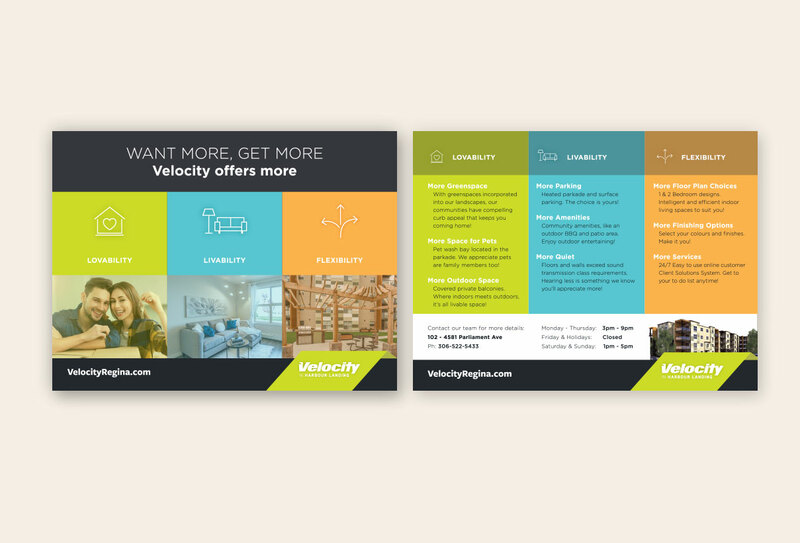 A spring promotion for Porchlight Homes, a new home and condo builder designed to match the energy of the season and to help push express home sales. 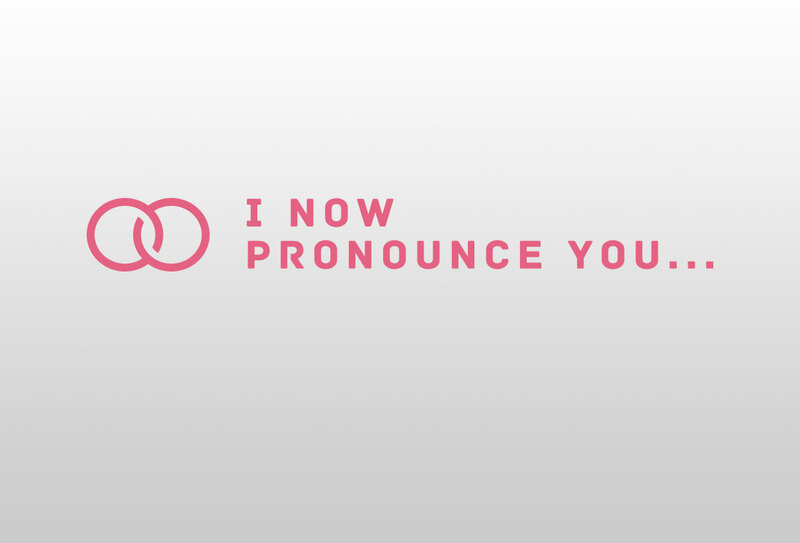 Developed a brand concept, identity and logo for I Now Pronounce You… a new wedding commissioner business in Winnipeg. 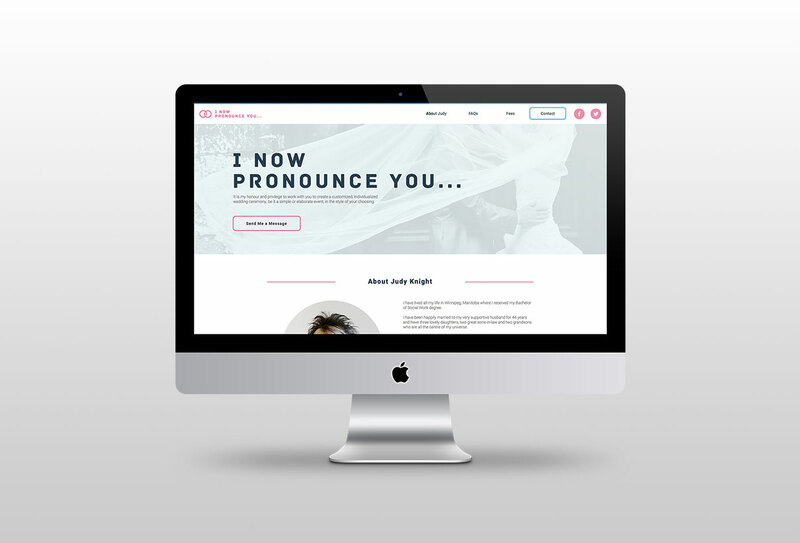 Our website design and website development was targeted towards a unisex audience. 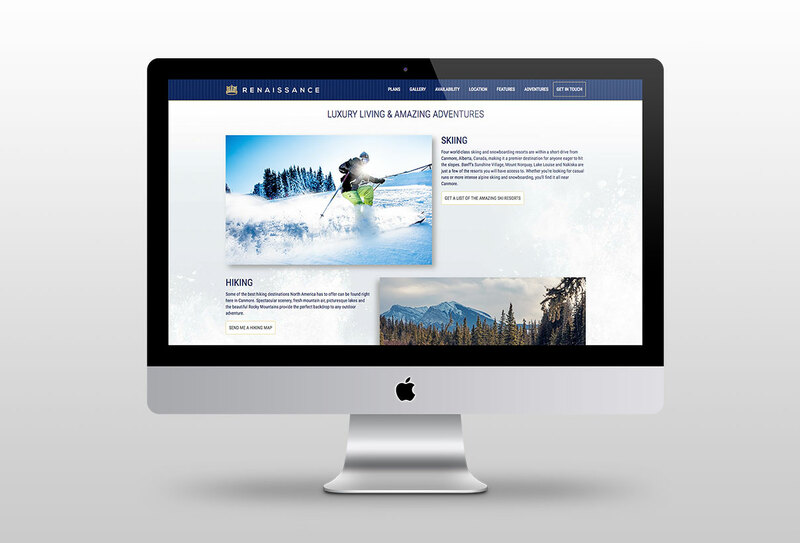 Full website development and website design for The Canmore Renaissance. 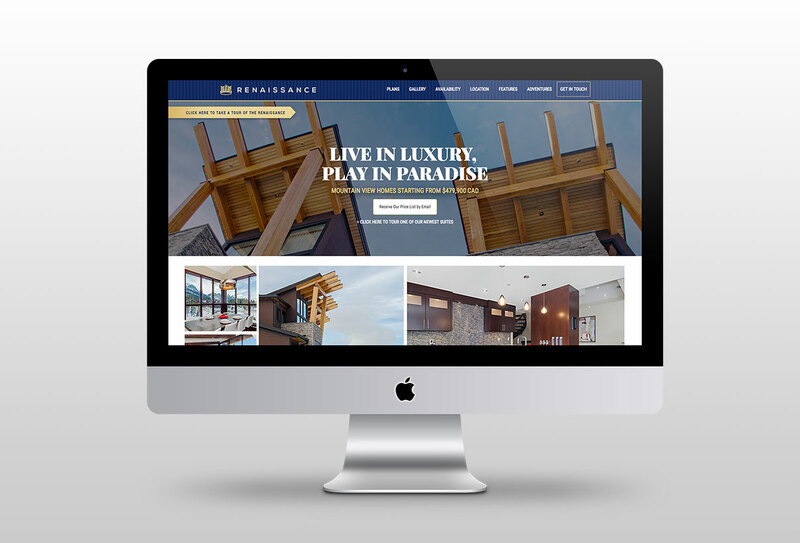 Designed to be simple to use and focus on the paradise in the mountains that is this condo development. 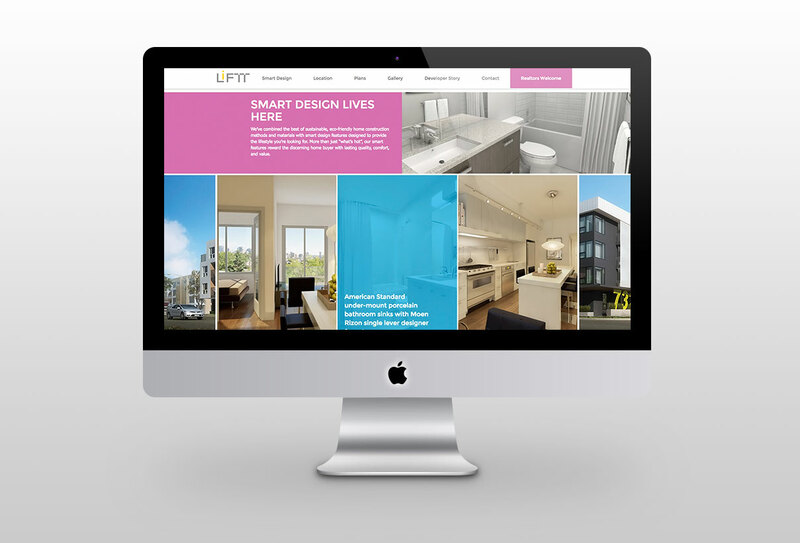 We even designed it to cater to local and international audiences looking for a new home. 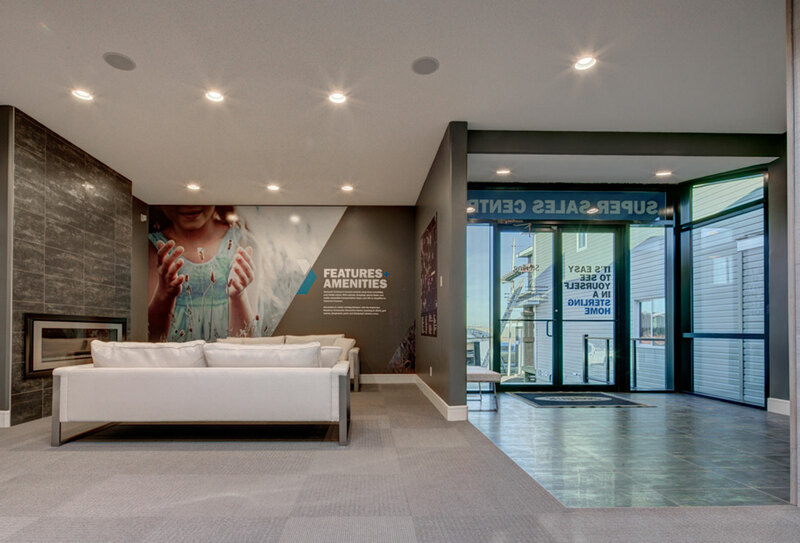 Sales centres are a space designed to captivate customers and sell new homes, townhomes, and other product. 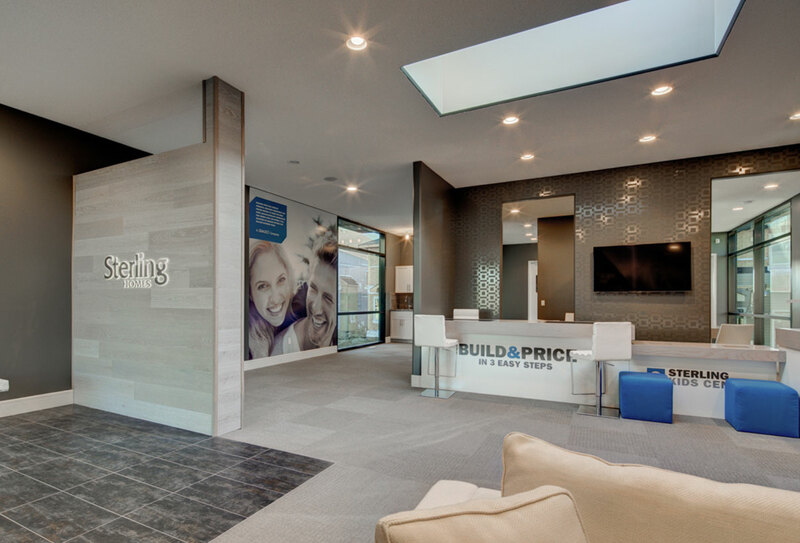 Our sales centres are always designed with the customers experience in mind. 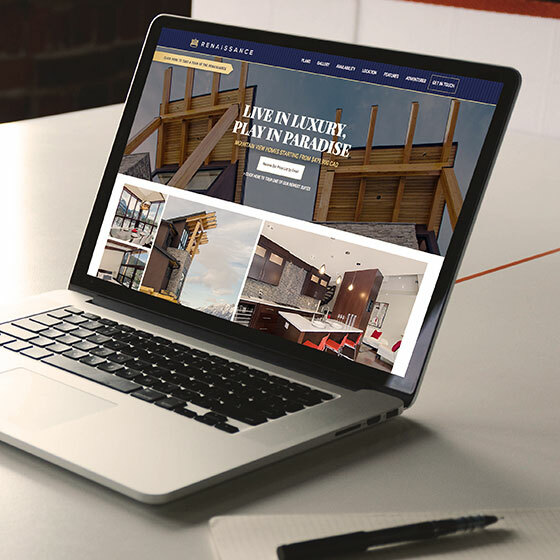 Parliament is a rental home project in Winnipeg. 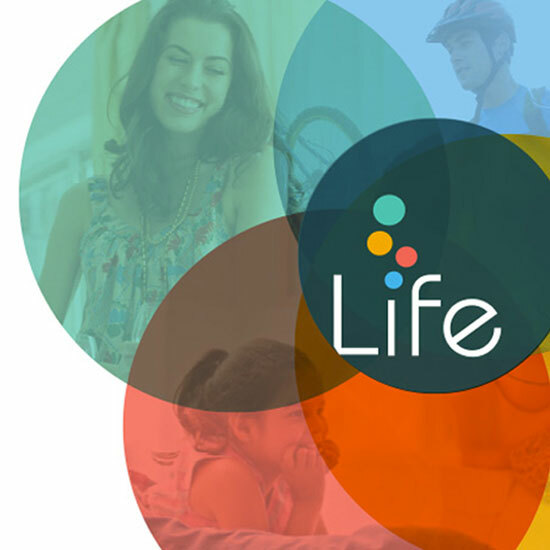 The logo was designed around the idea of being a hub of energy and lifestyle. 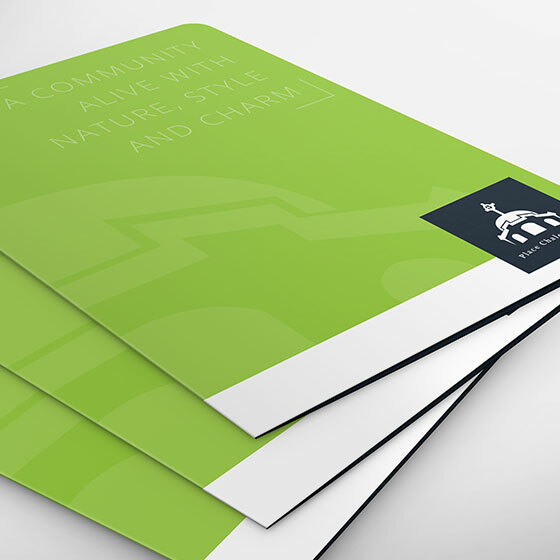 A place where you can really get to know your neighbour and live a truly communal life. 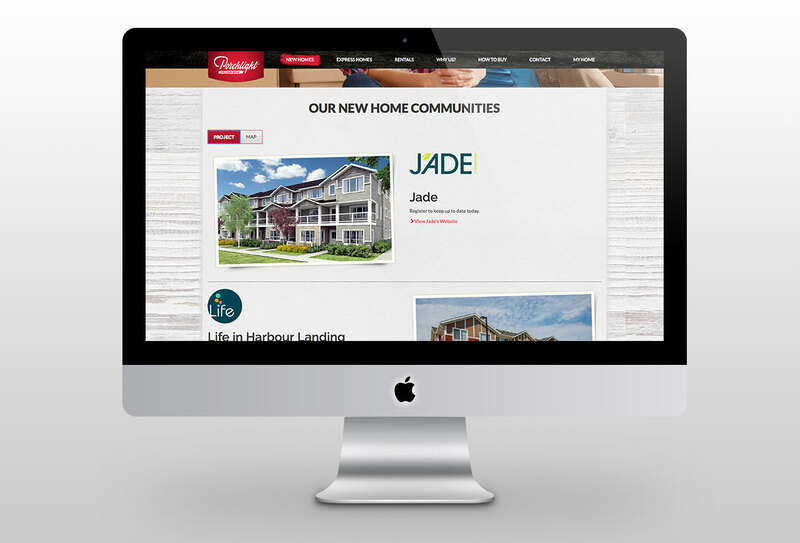 Sterling Homes website was built with the user in mind. 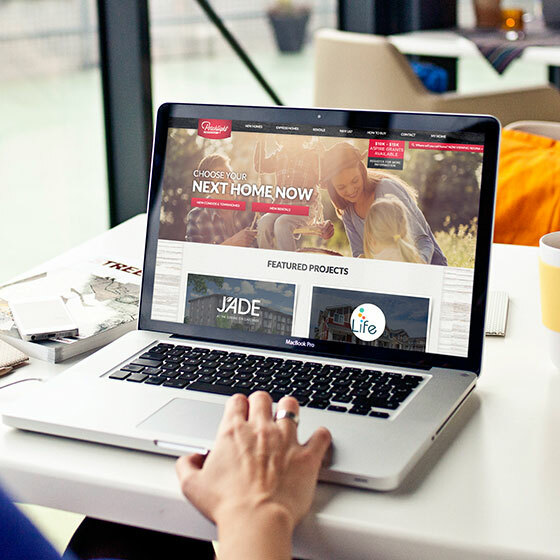 The full website development and website design was catered around making the experience for a new home buyer as simple as possible. 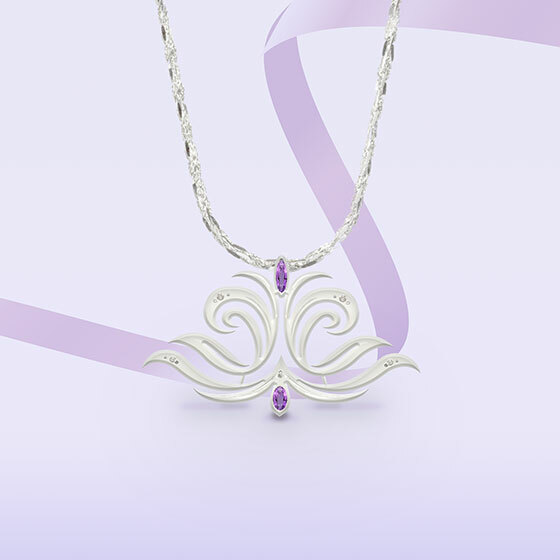 Everything on the website is laid out with that purpose in mind. 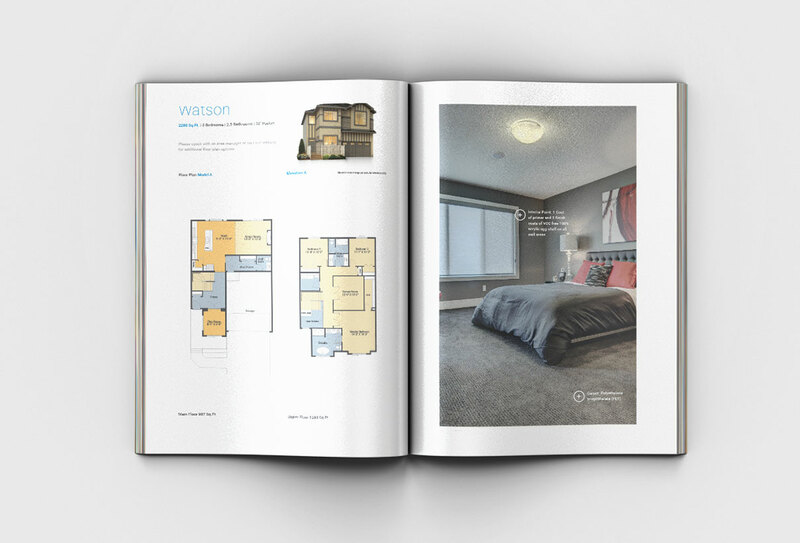 A collection of collaterals ranging from business cards, to brochures, to floor plans for a Regina and Winnipeg home builder. 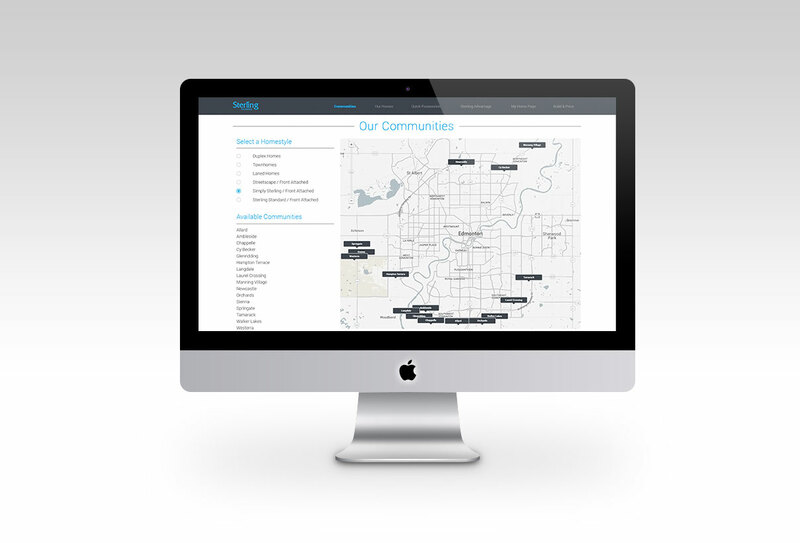 Renfrew is a trendy and vibrant community in Calgary. 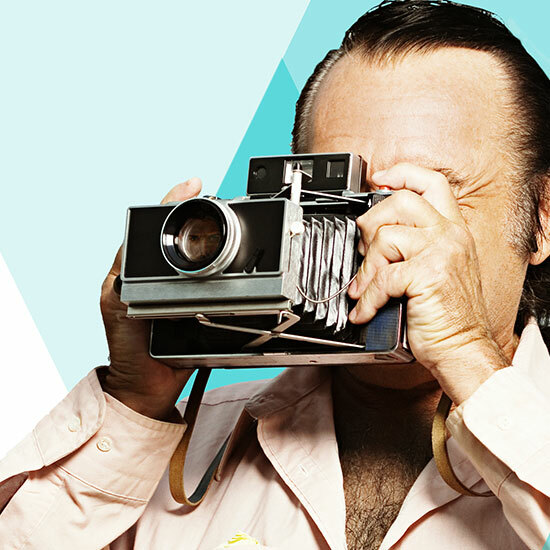 It is jam packed with art, restaurants, and small shops. 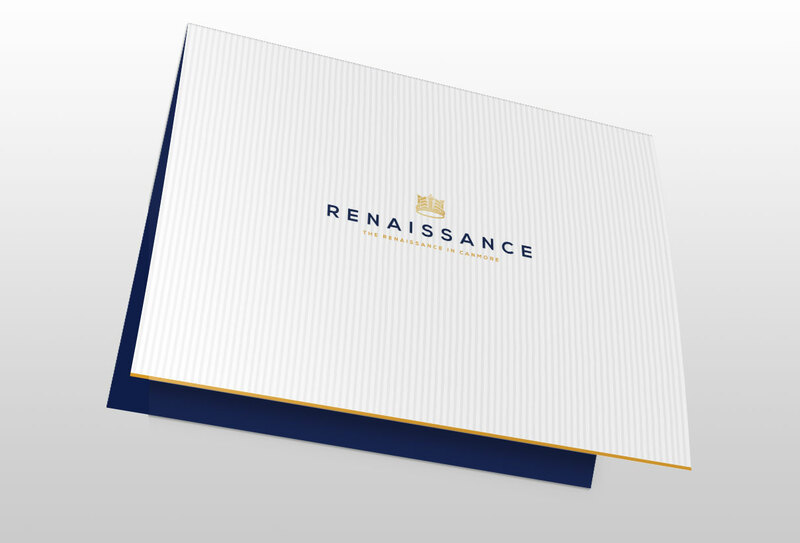 Our creative is a culmination of all that is Renfrew for this new condo development. 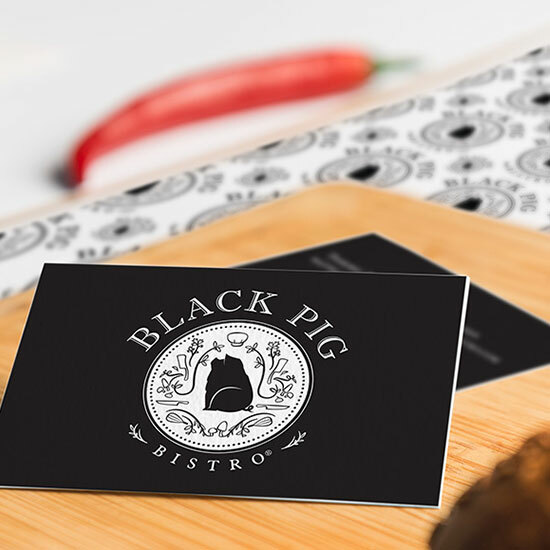 We developed a brand identity and logo for the Black Pig Bistro that was simple and inviting. 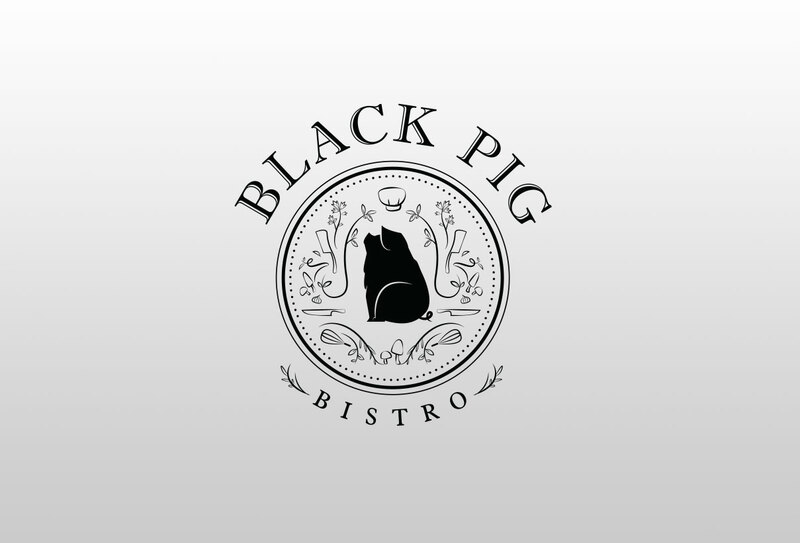 Black Pig Bistro is a trendy restaurant residing in Bridgeland Calgary. 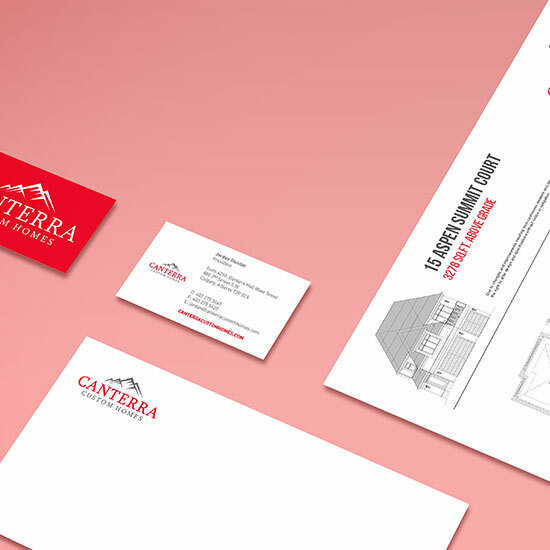 A collection of collaterals ranging from business cards, to brochures, to floor plans for this condo development in Canmore. 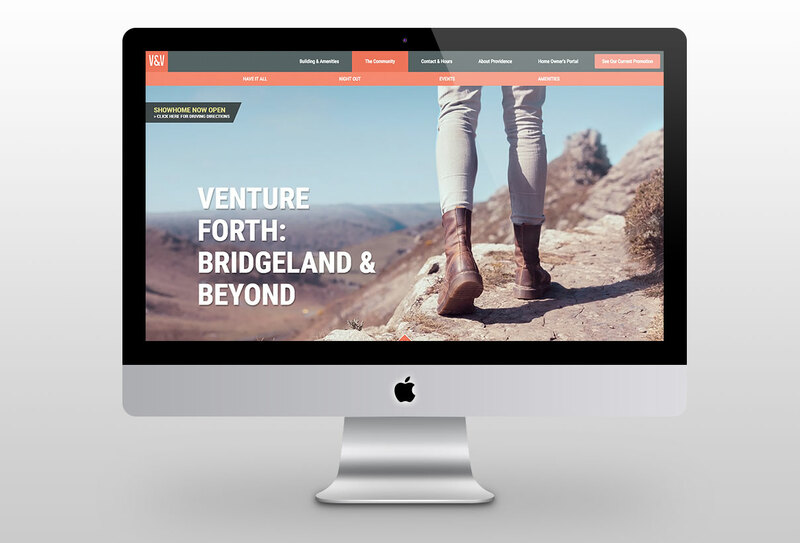 The Victory & Venture website design and website development was built with the urban dweller in mind. 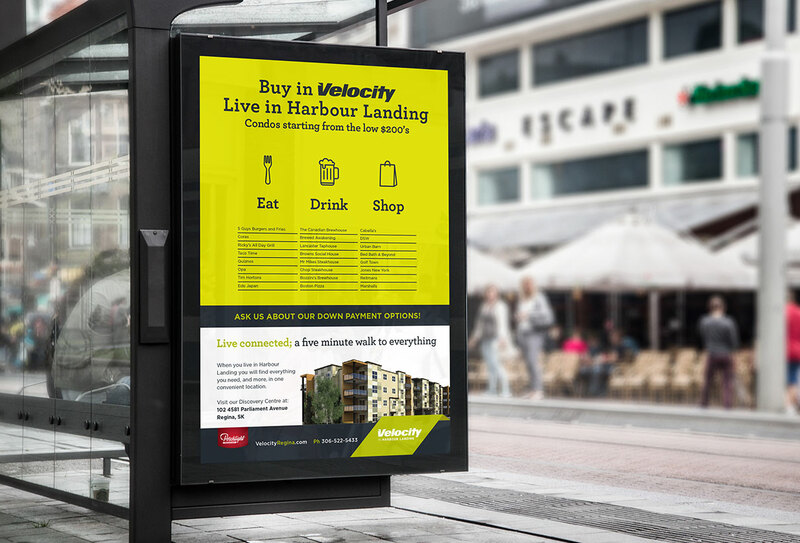 The concept of Victory & Venture was based off the idea that you can have a new home in a trendy area and still afford everything else you want. 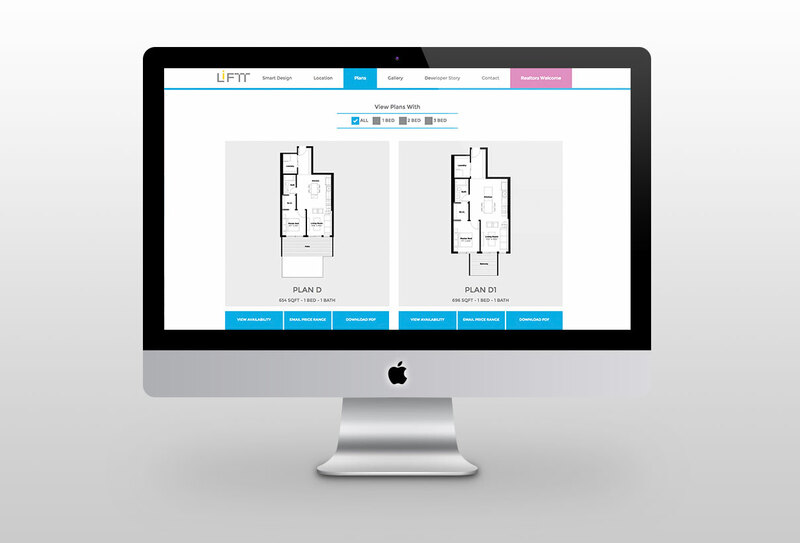 Smaller and more efficient floor plans are the trend of modern day. 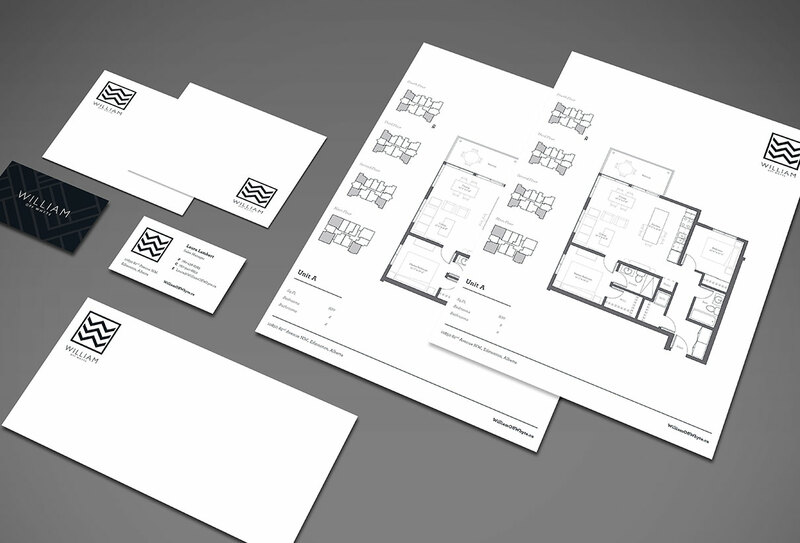 Large floor plans with wasted space are out of date and retro. 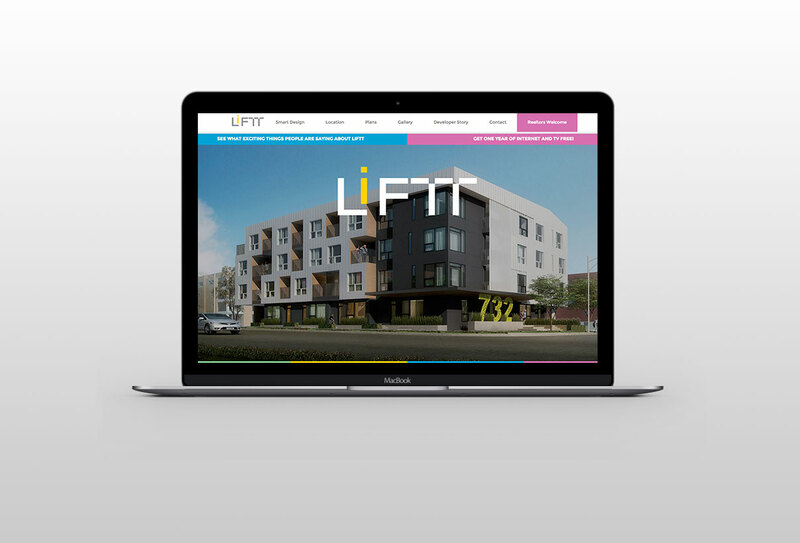 A website design and development for the newest condo addition to Renfrew. 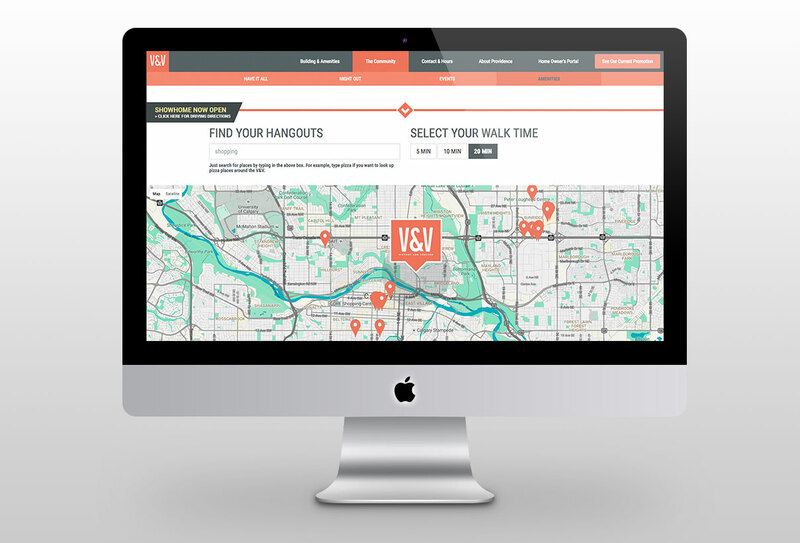 Focussed on the idea of connecting to your neighbourhood and to downtown. 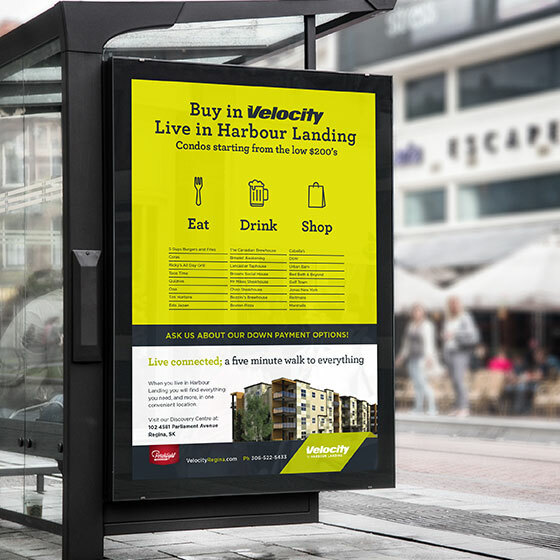 A simple and clean bus shelter ad displayed throughout Regina for the Velocity condo project. 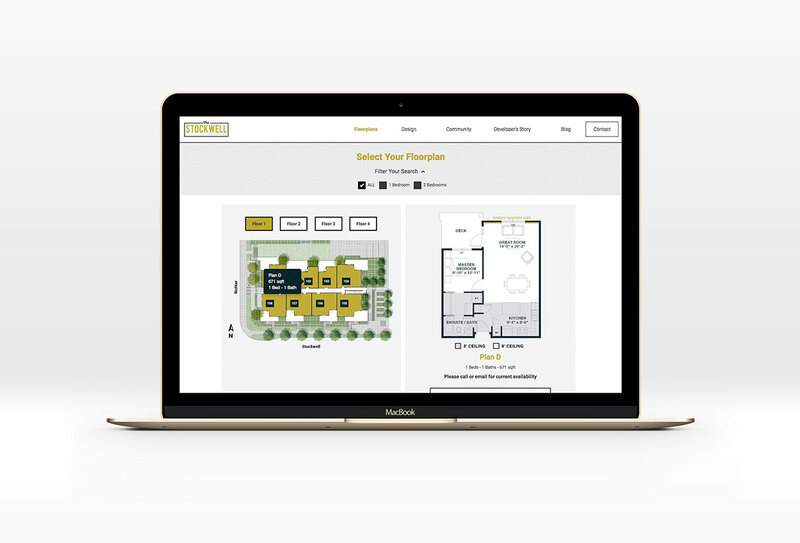 The focus was to highlight the amenities of the area and show that you can live a connected live without having to sacrifice. 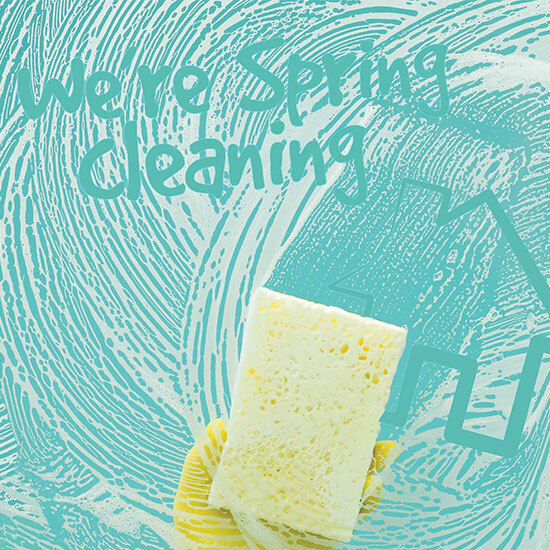 Loving your home should be easy. 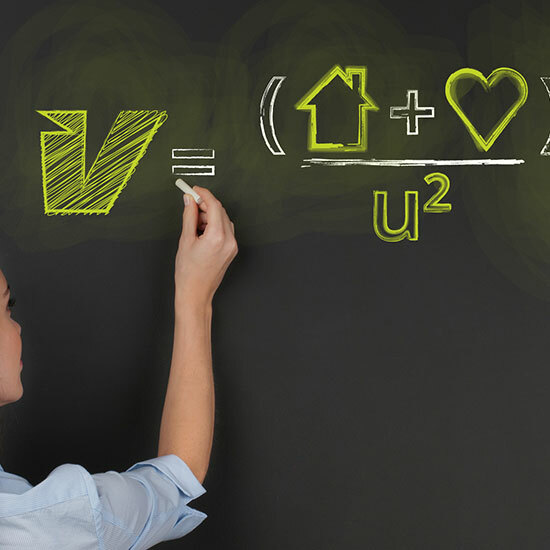 It should be a simple procedure from beginning to end and we wanted to showcase that with the new condo formula. 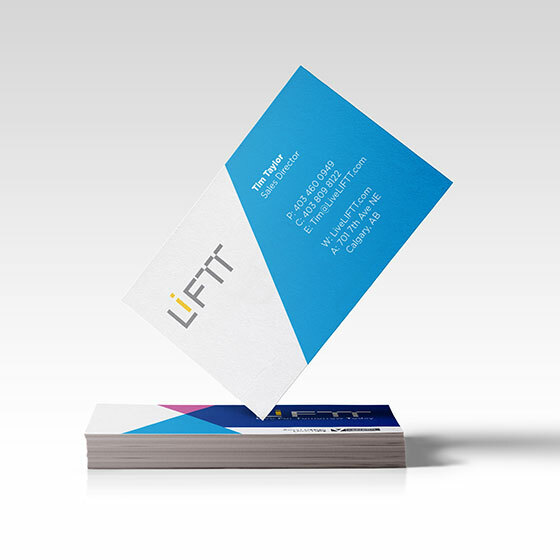 A collection of collaterals ranging from business cards, to brochures, to floor plans for this new condo development in Bridgeland Calgary. 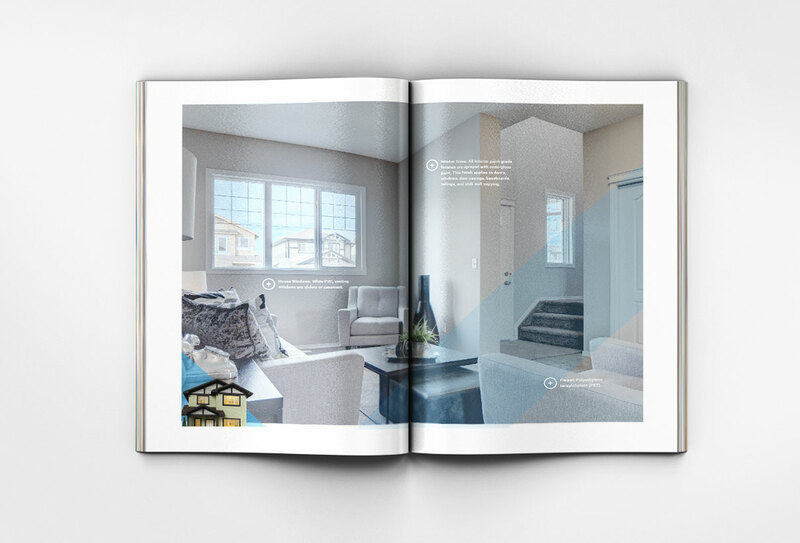 Life in Harbour Landing is a Regina townhome project where all walks of life can exist in harmony. 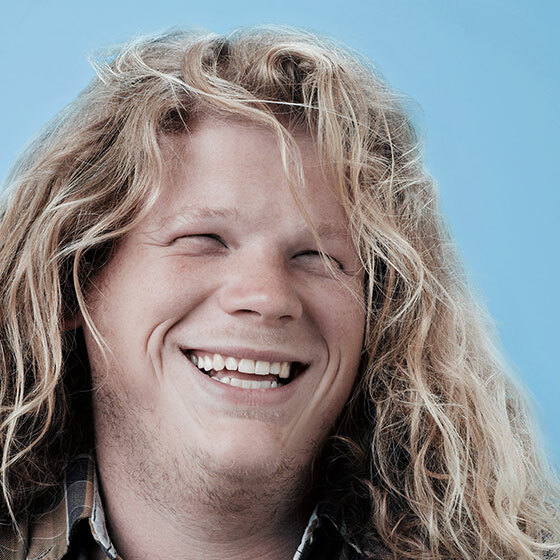 Our billboard was designed to show the intertwining of those different lives all in one location. 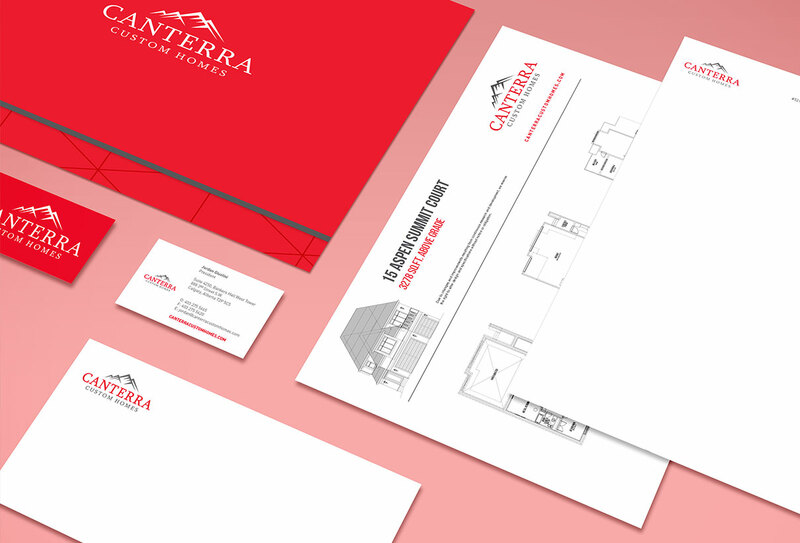 A collection of collaterals ranging from business cards, to brochures, to floor plans for a custom home builder in Calgary.